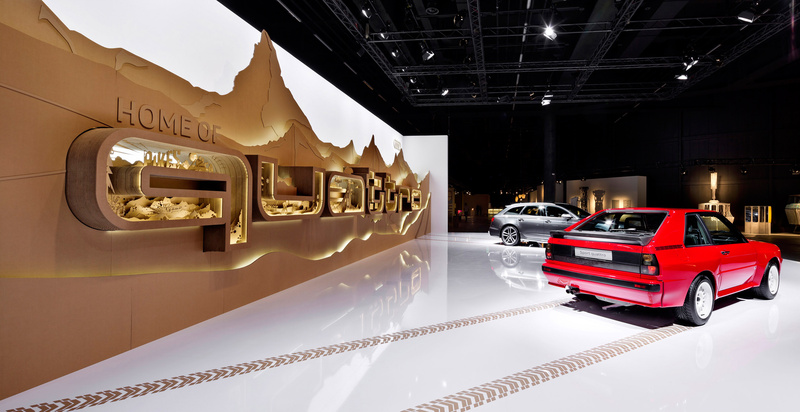 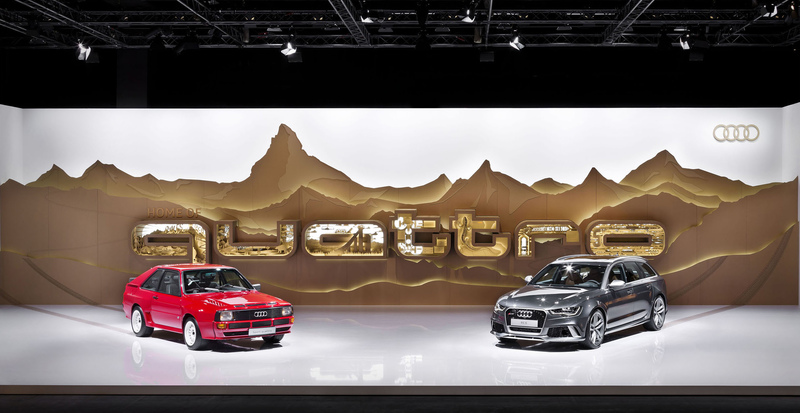 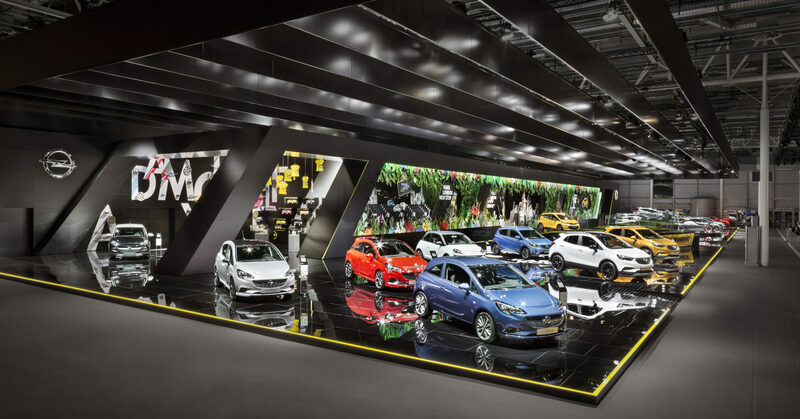 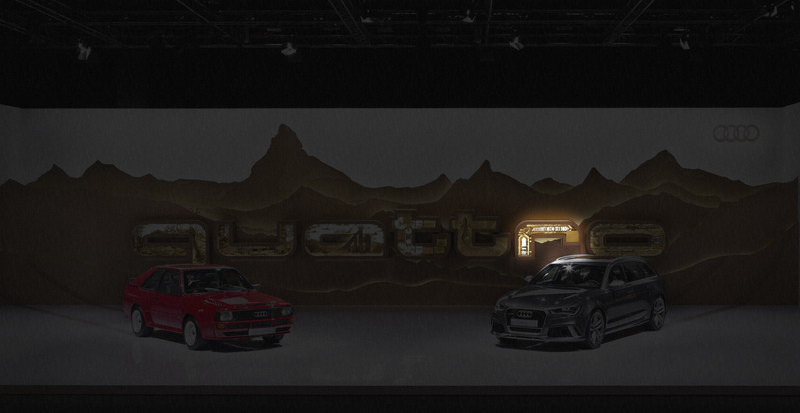 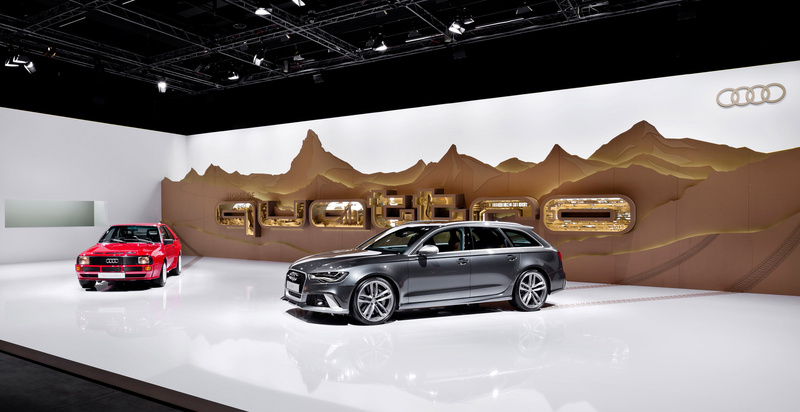 Together with Martin Schmitz and Julika Dittmers,Tim John created a fair stand for German automobile manufacturer Opel at the Mondiale l’Automobile in Paris. 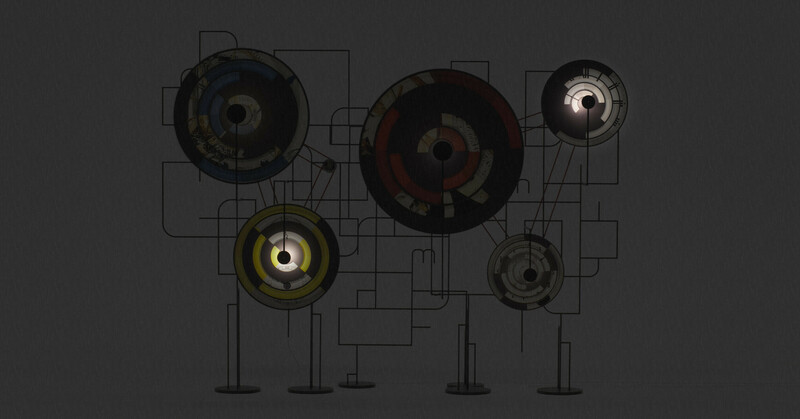 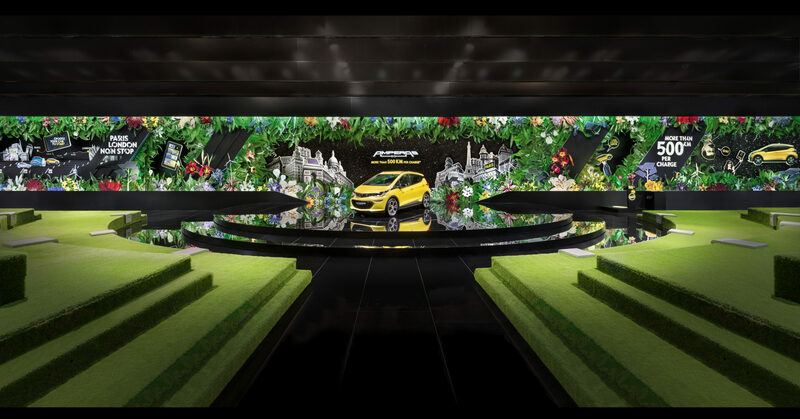 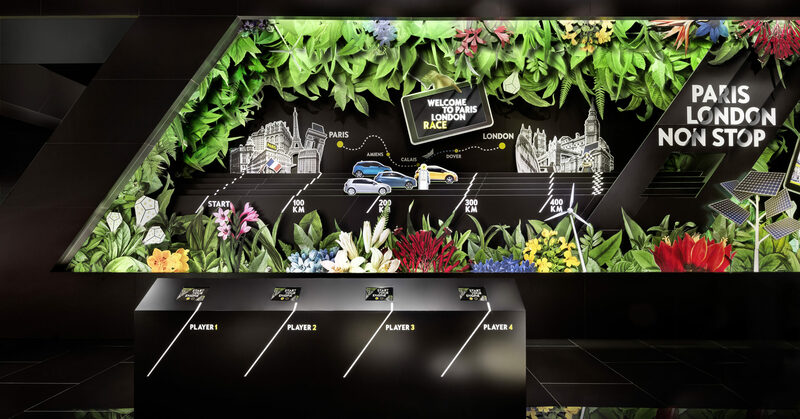 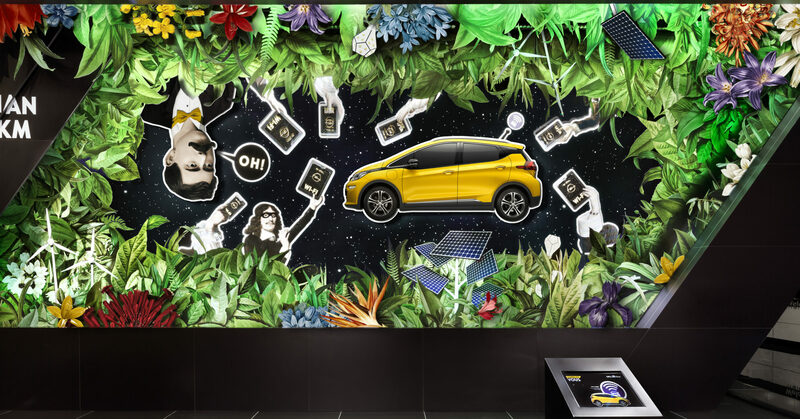 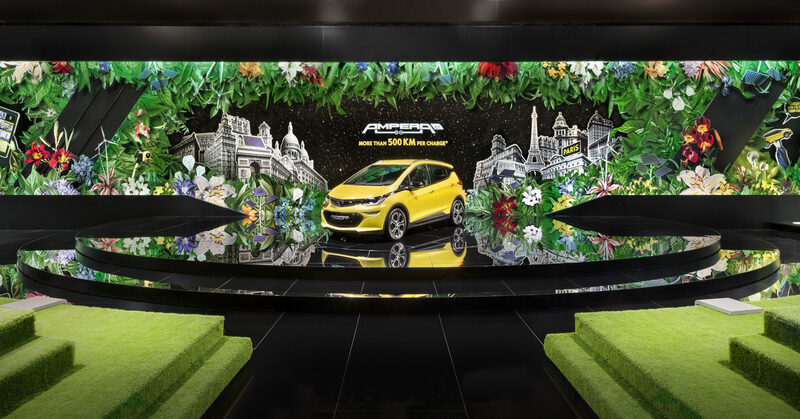 The project, in cooperation with Hamburg based agency Vitamin E, thematised Electromobility, visualizing the ((closely related)) utopia of a green world. 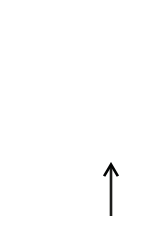 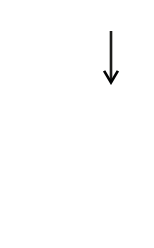 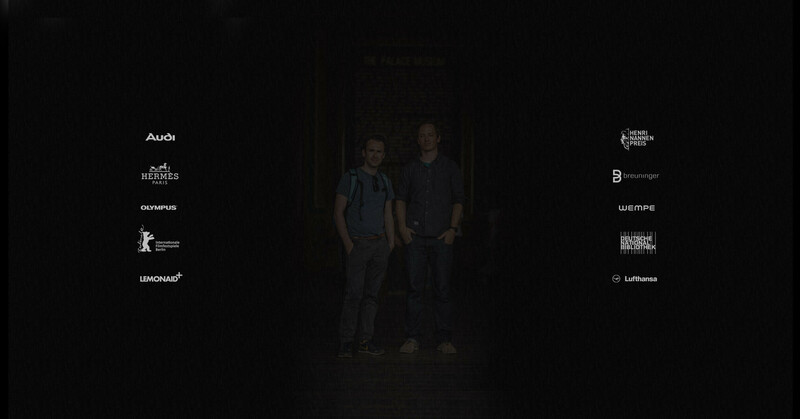 Click anywhere to see more! 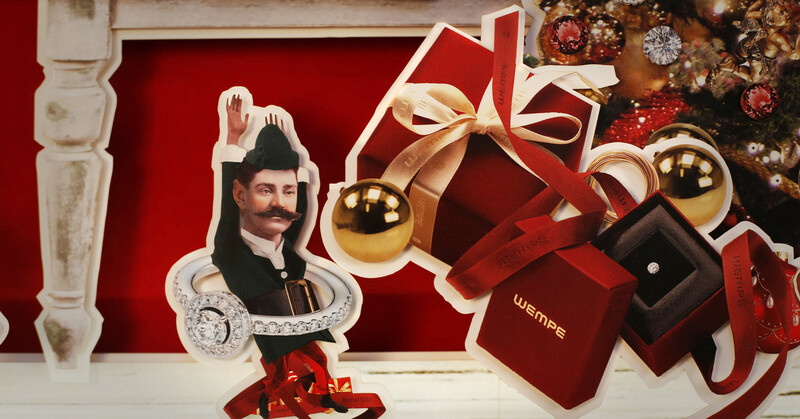 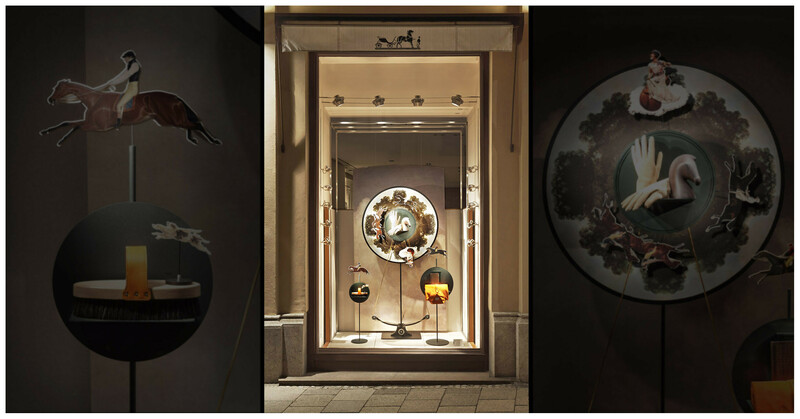 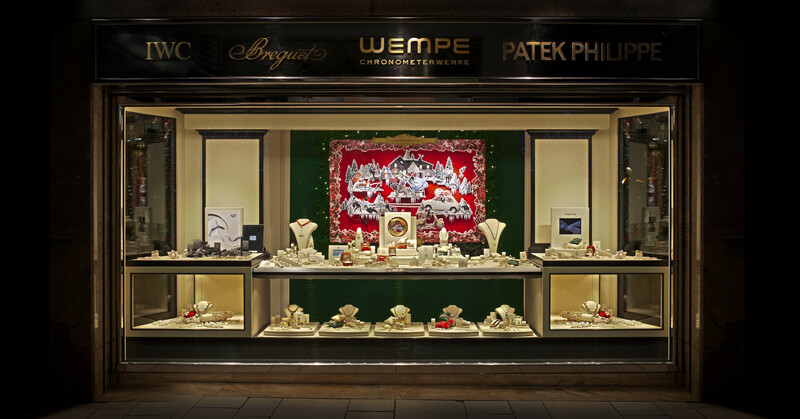 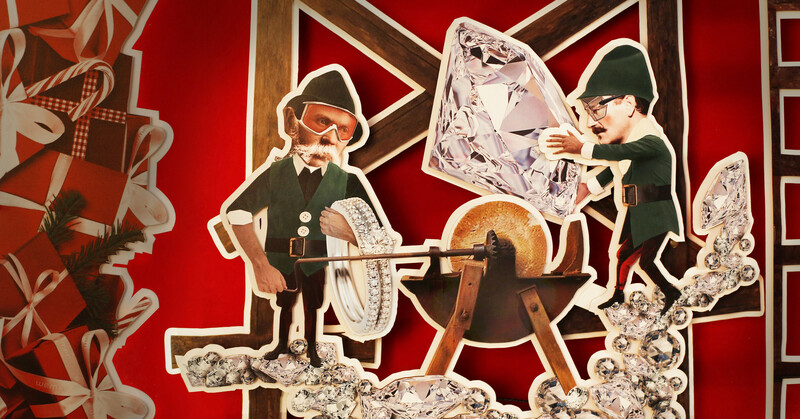 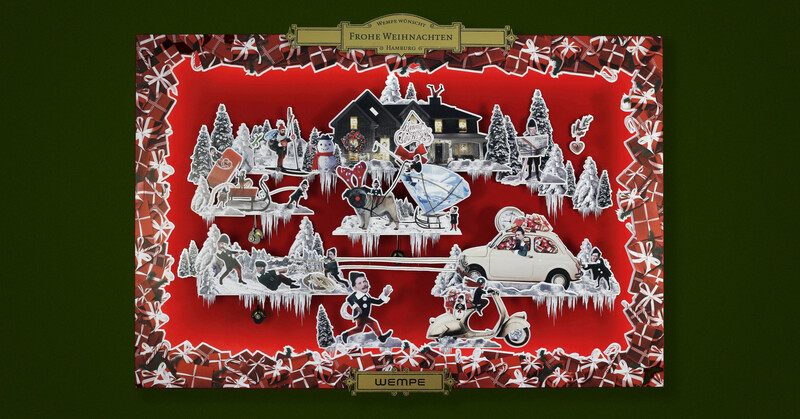 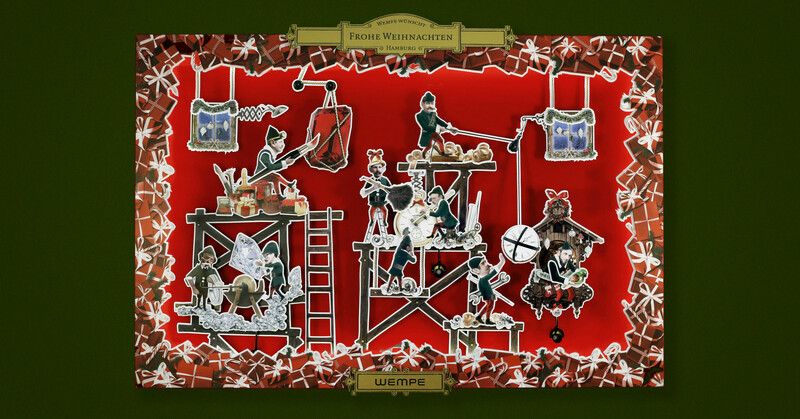 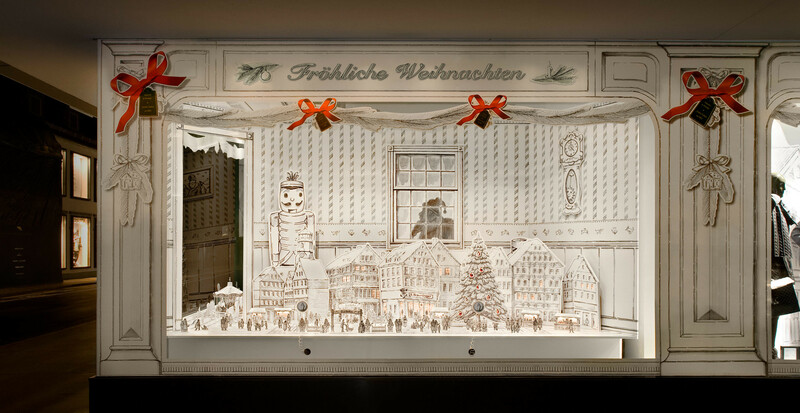 For Wempe Tim John developed a mechnically operated Christmas play for the jewelry store’s shop window together with Julika Dittmers, Pia Kuhlemann and Martin Schmitz. 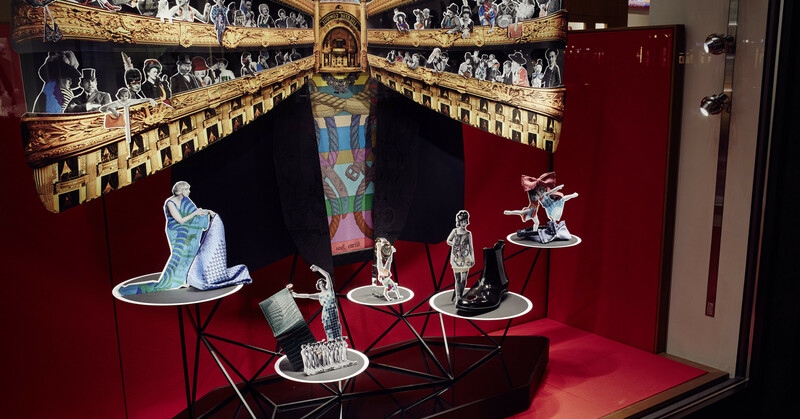 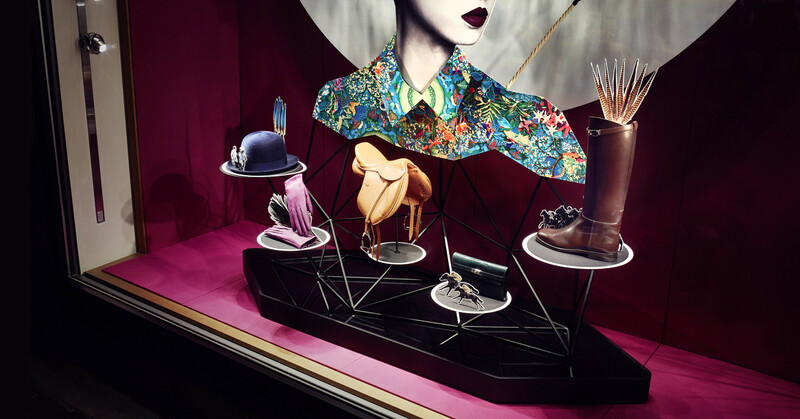 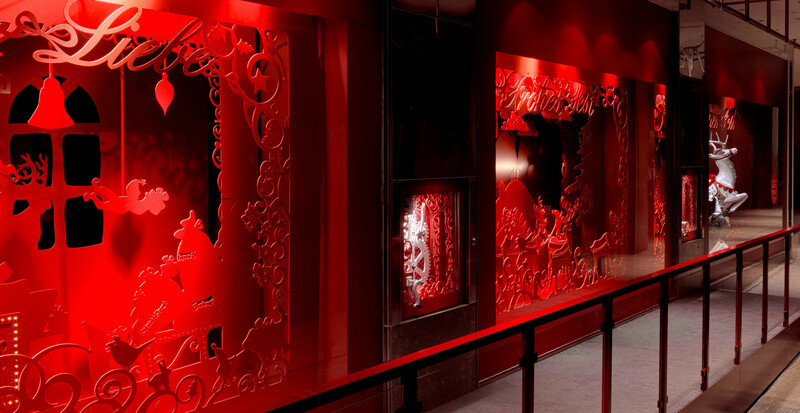 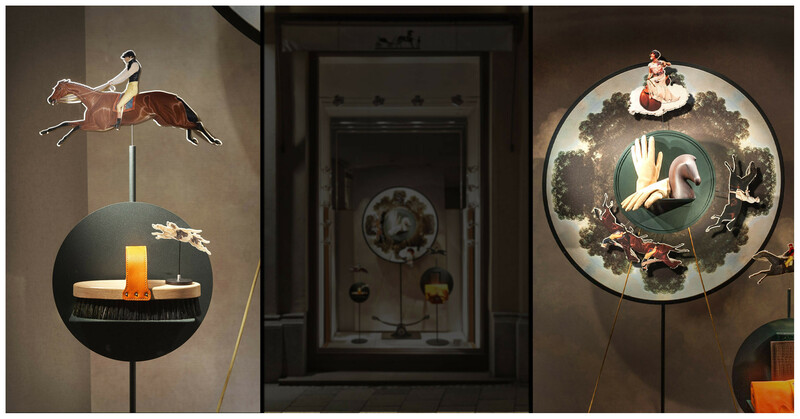 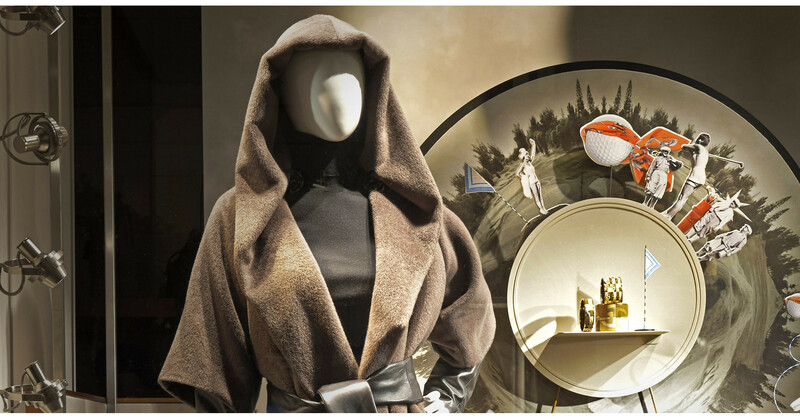 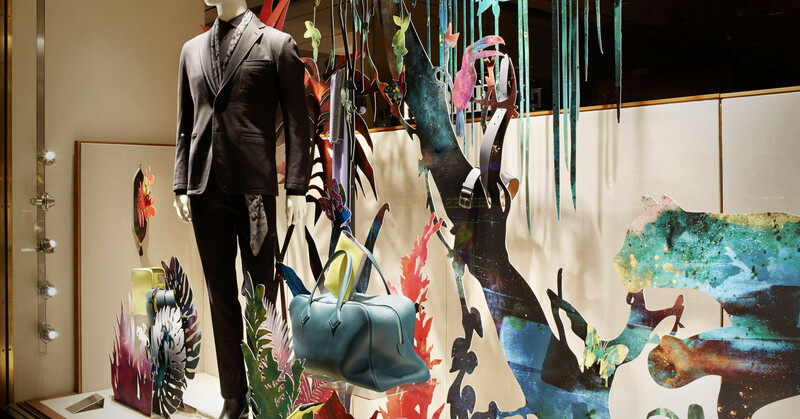 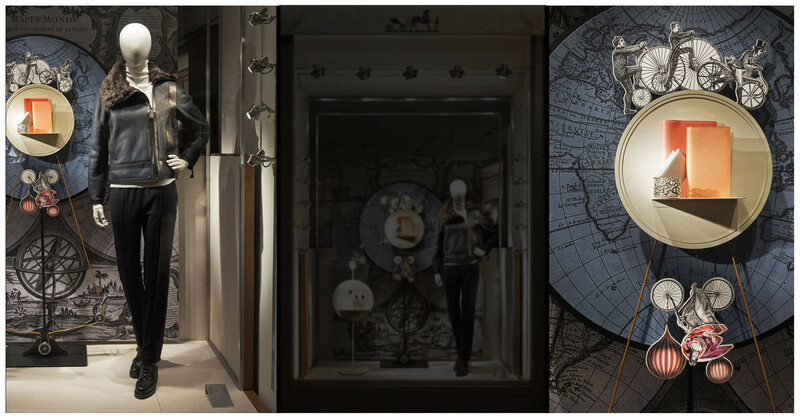 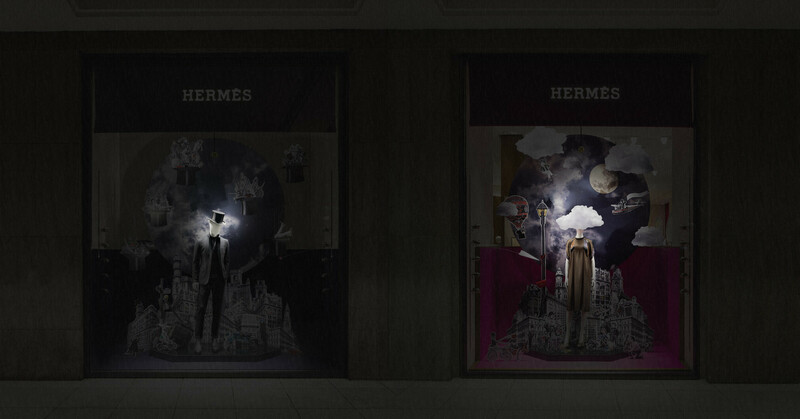 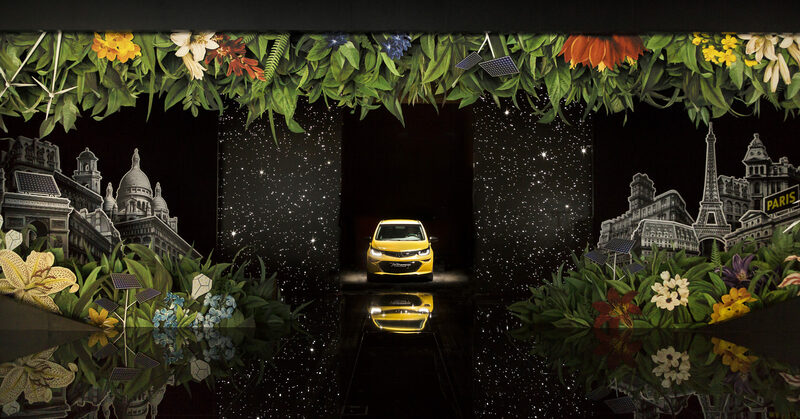 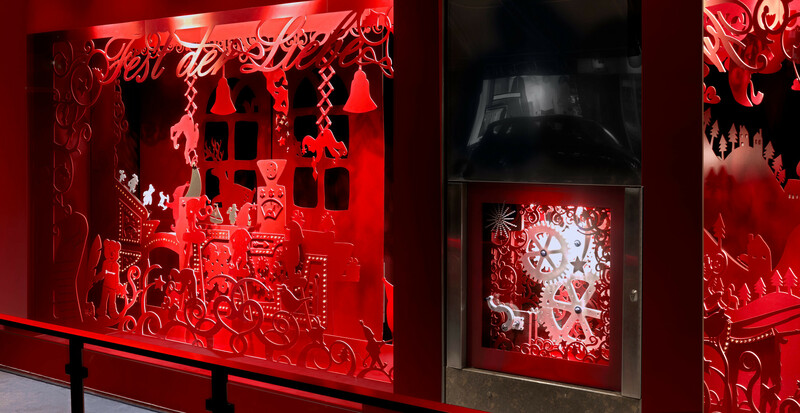 In 2014 these theatrical window installations were shown on New York’s 5th Avenue. 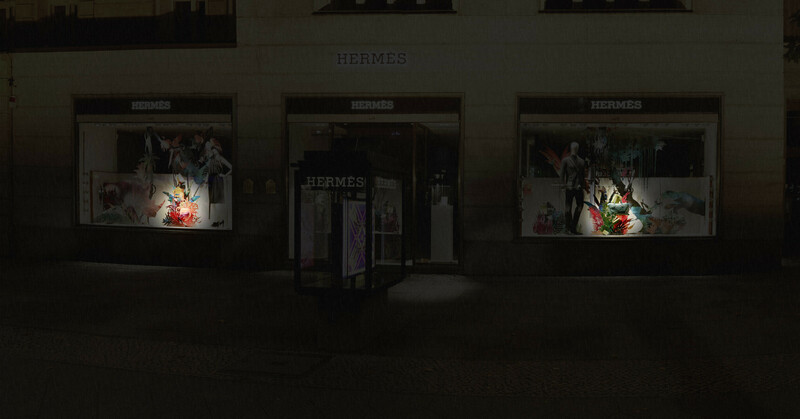 This year the work was displayed in Hamburg at the Jungfernstieg. 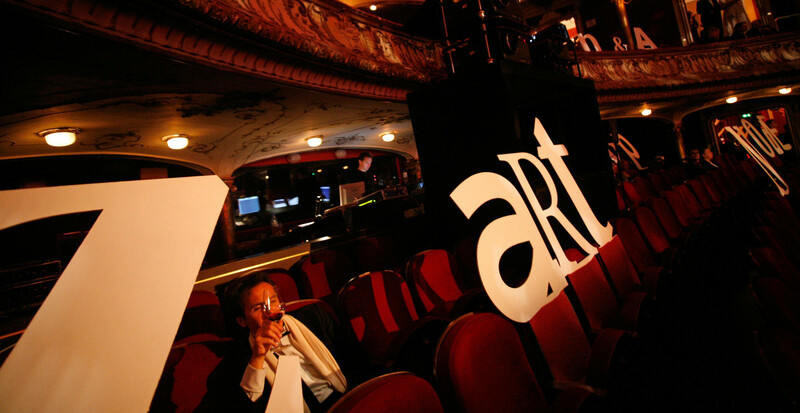 With the friendly assistance of Martin Malich and Sebastian Auray in technical assembling and programming. 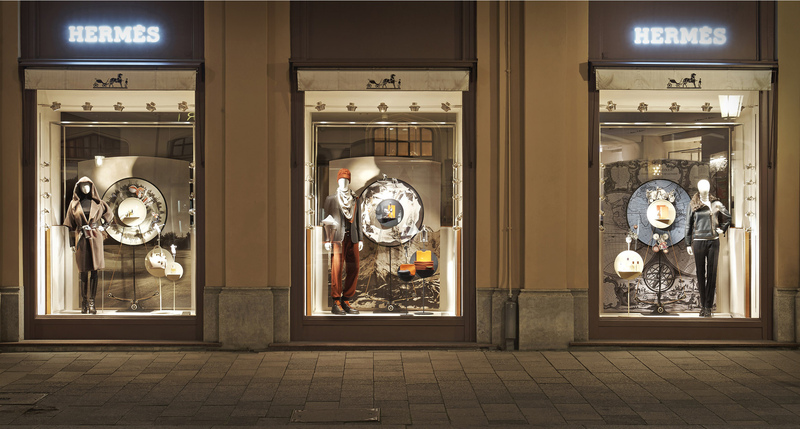 For the store opening in Düsseldorf/Germany Tim John designed and built these huge window displays together with Julika Dittmers and Martin Schmitz. 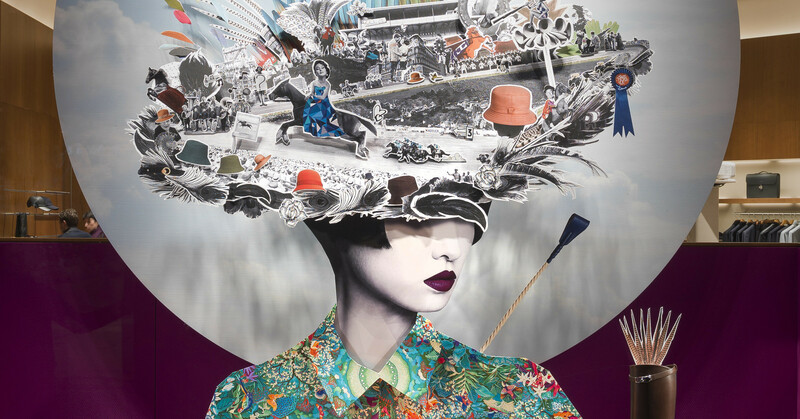 They designed dream worlds shown as big hats, carried by beautiful women. 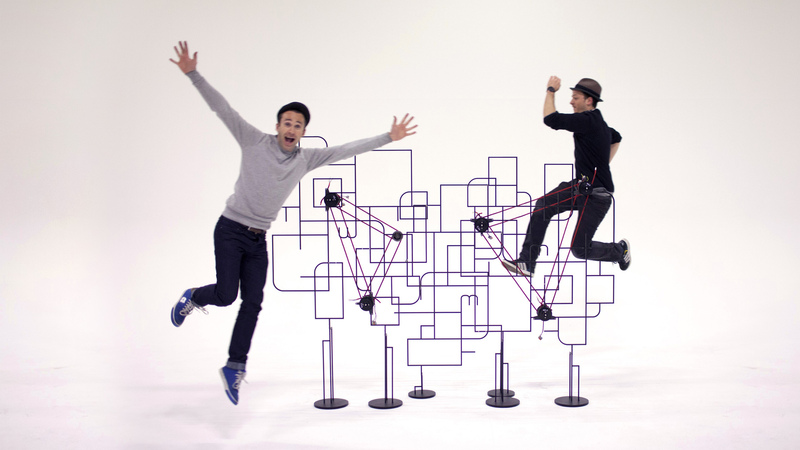 You can find a little "making of" video. 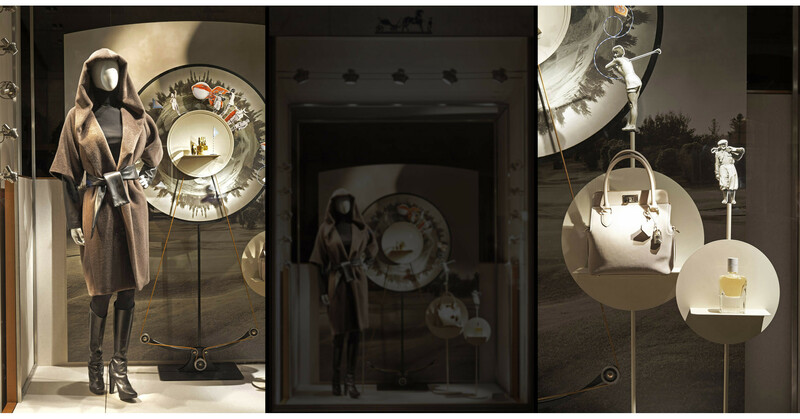 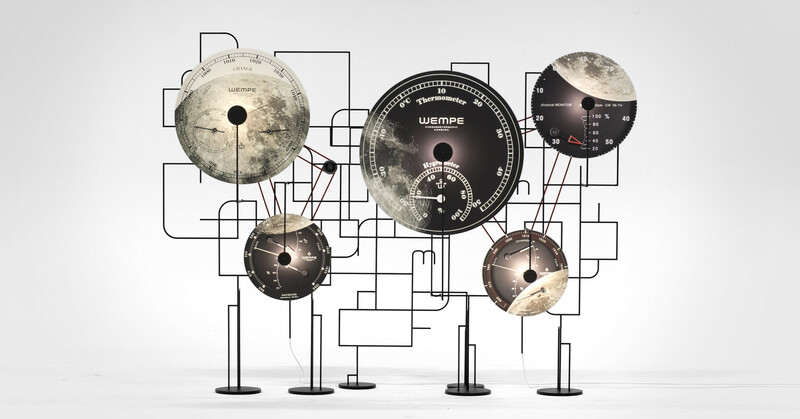 For the shop vitrines of the Wempe Store in Beijing Tim John designed and built these moving window displays together with Olivia Chruscinski and Martin Schmitz in 3 month. 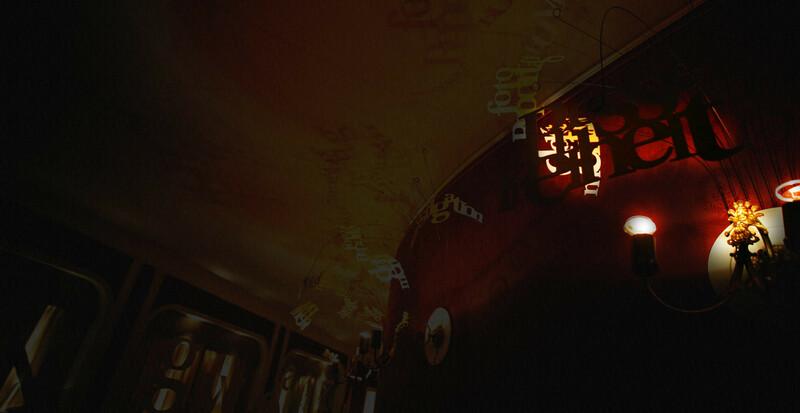 After the last picture you can find a little "making of" video. 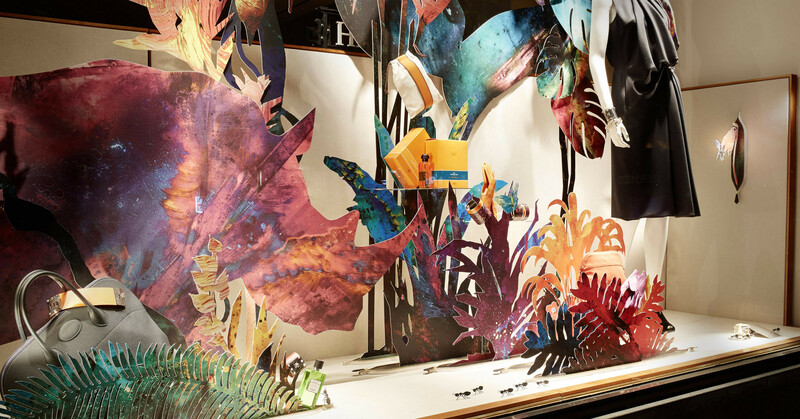 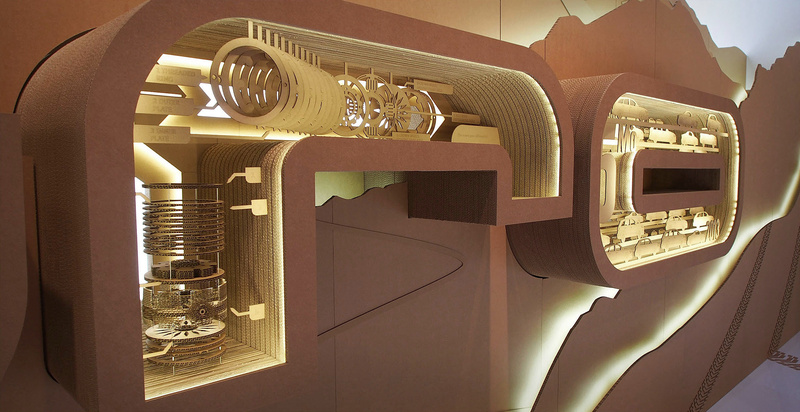 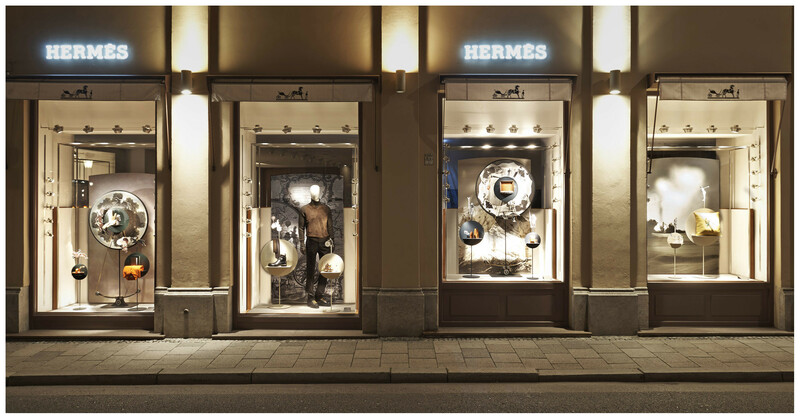 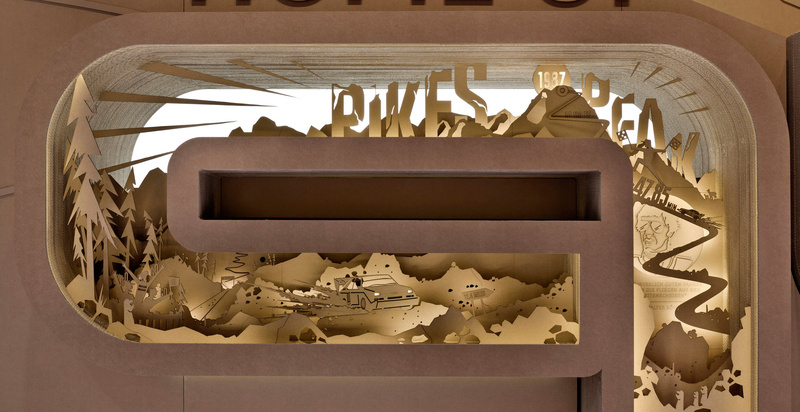 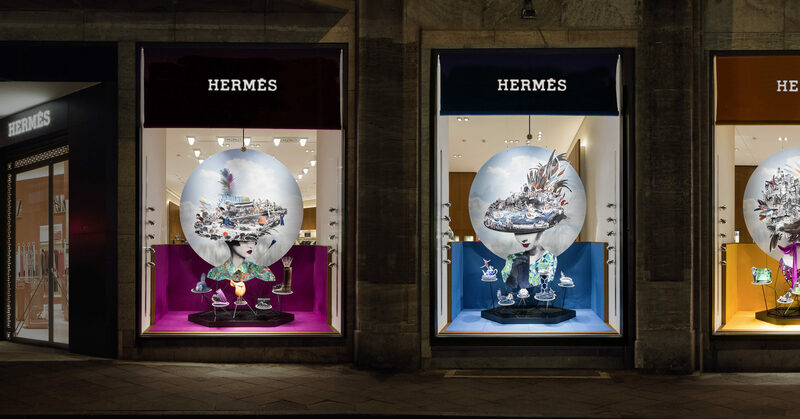 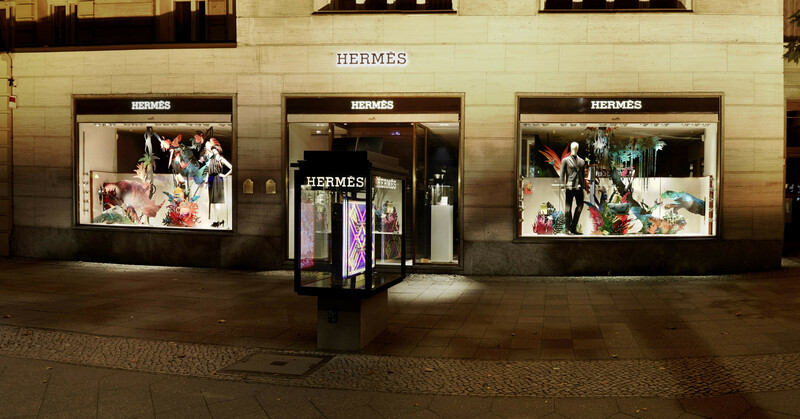 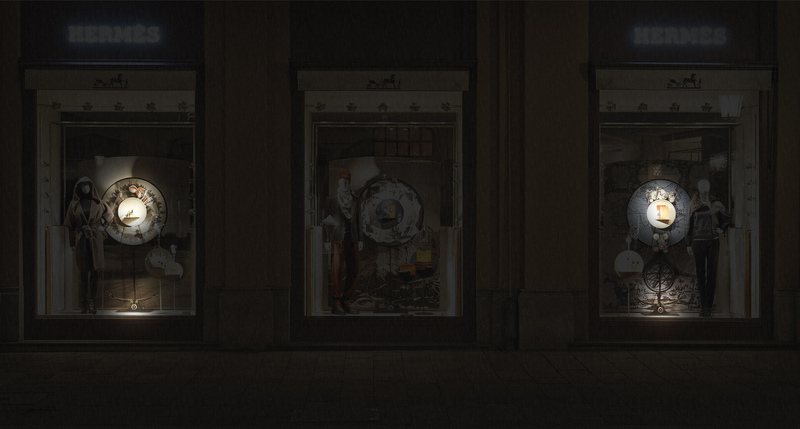 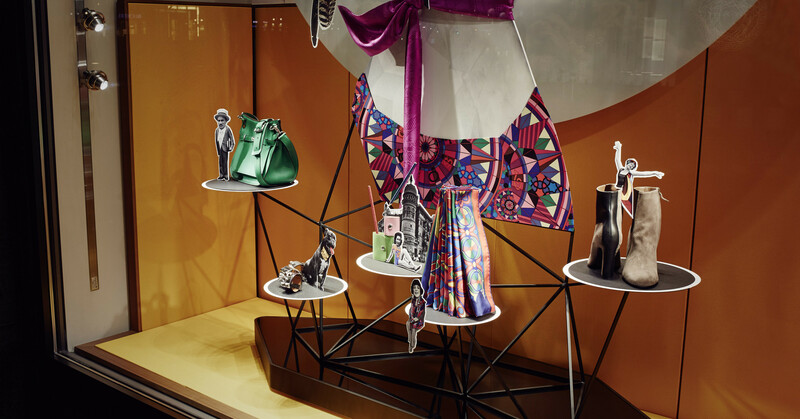 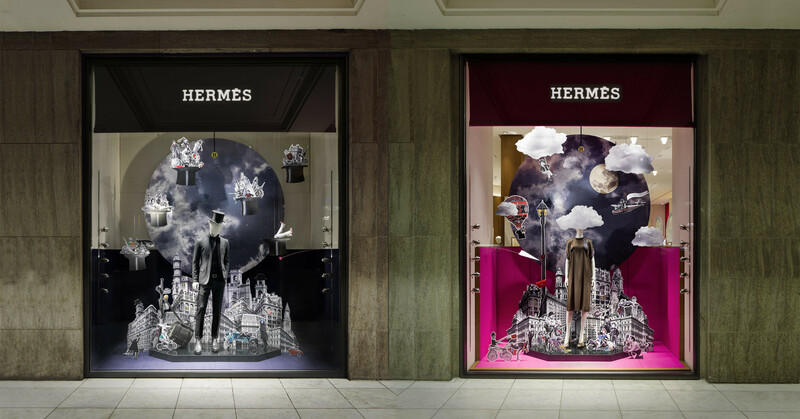 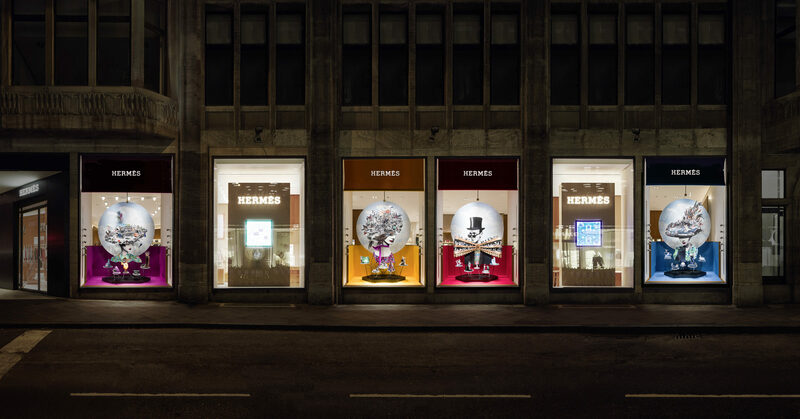 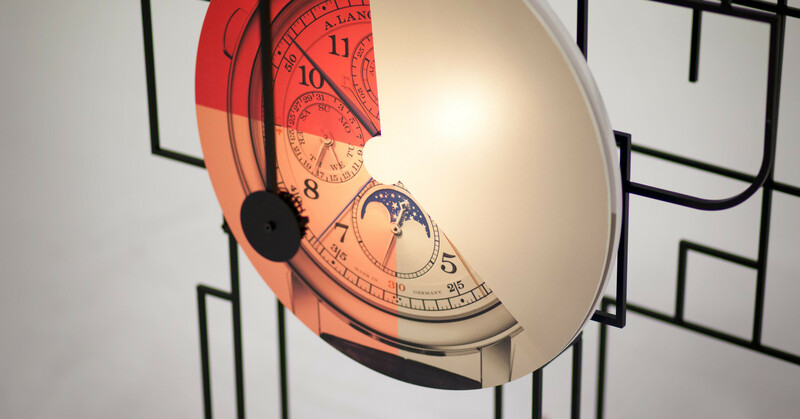 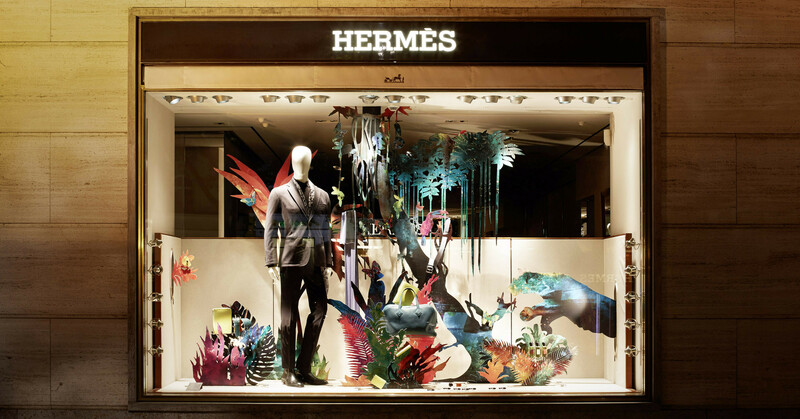 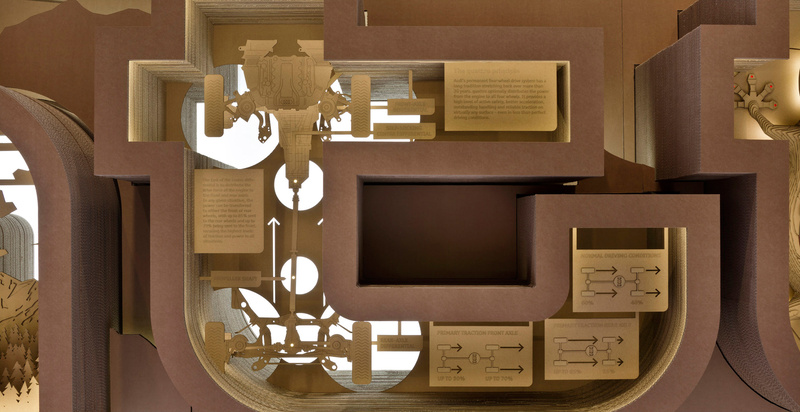 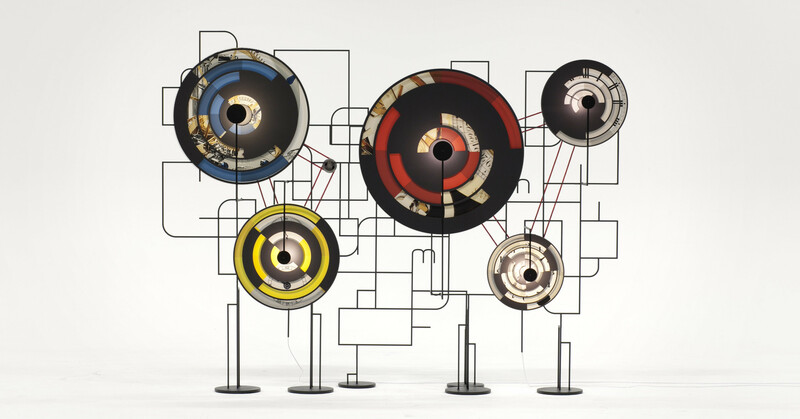 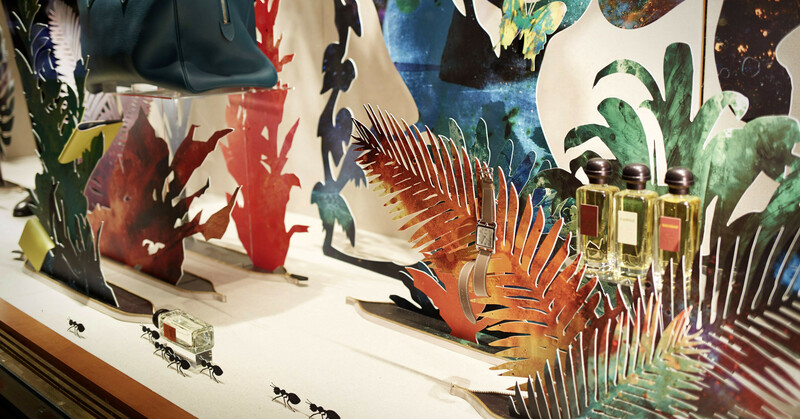 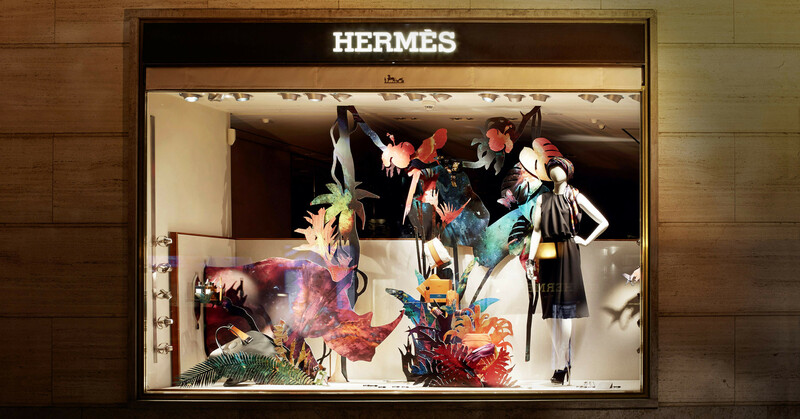 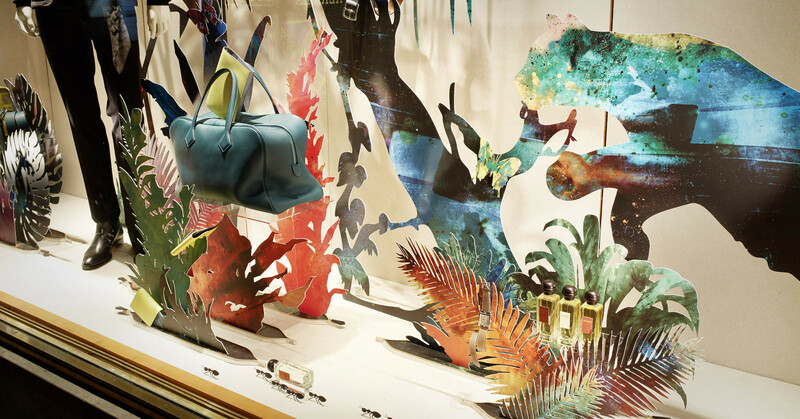 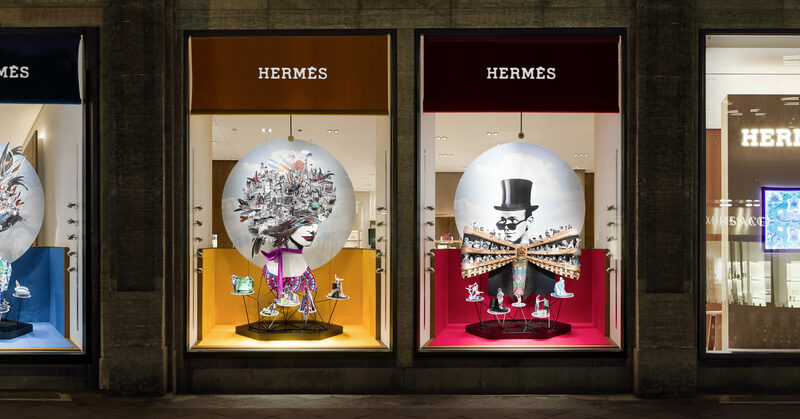 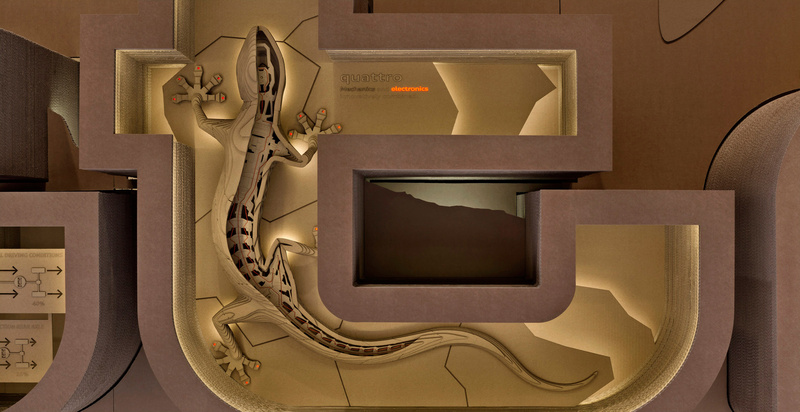 For the showcases of 11 Hermès boutiques in Germany Tim John designed and built these moving window displays together with Olivia Chruscinski and Martin Schmitz in 3 month. 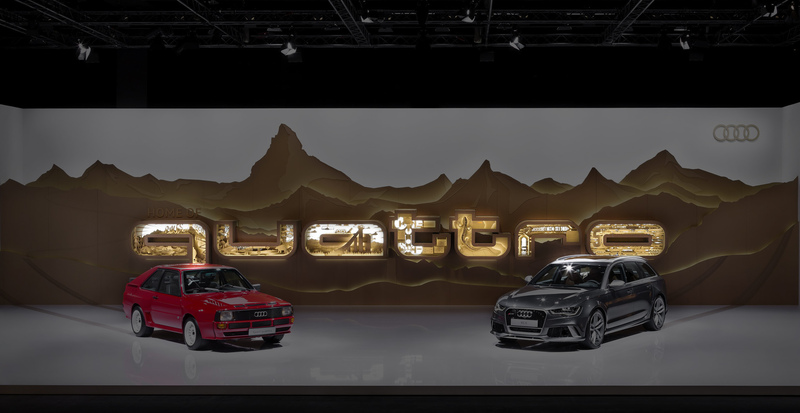 Together with Martin Schmitz Tim John designed an enormous Quattro cardboard lettering and built this together. 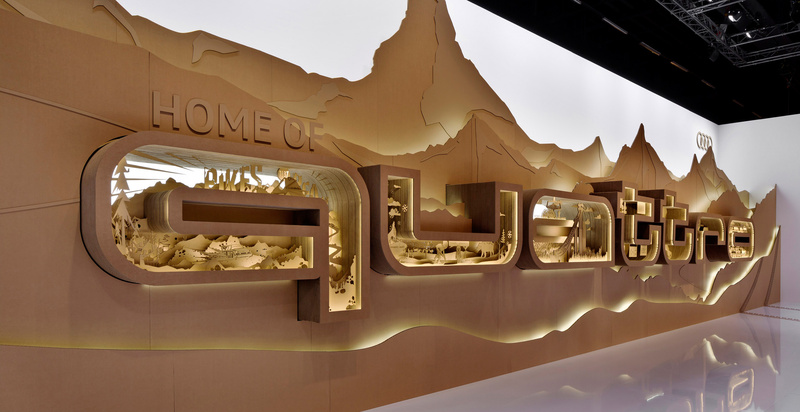 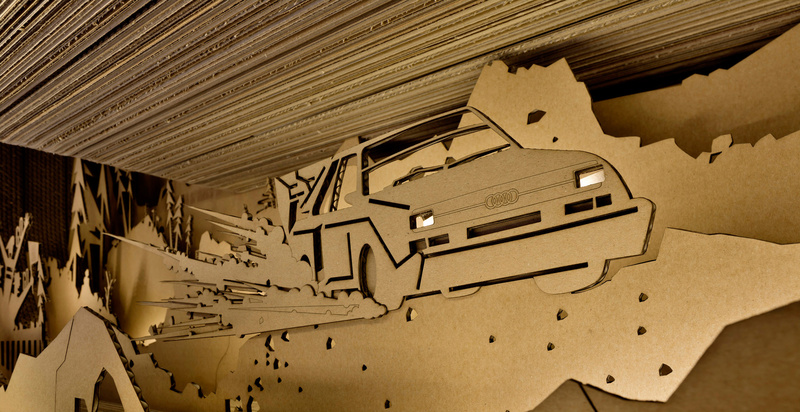 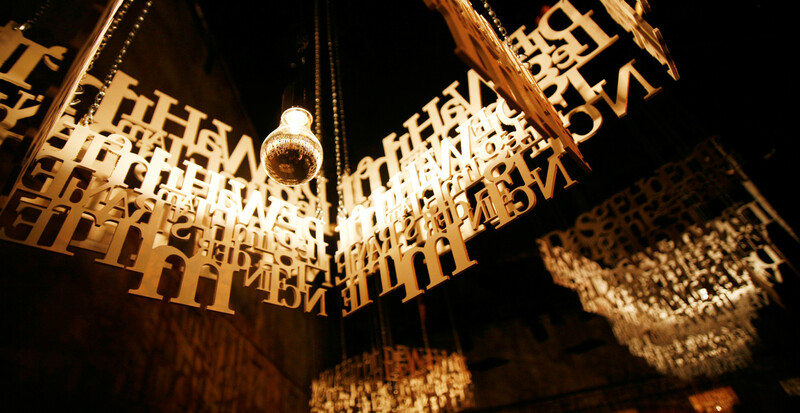 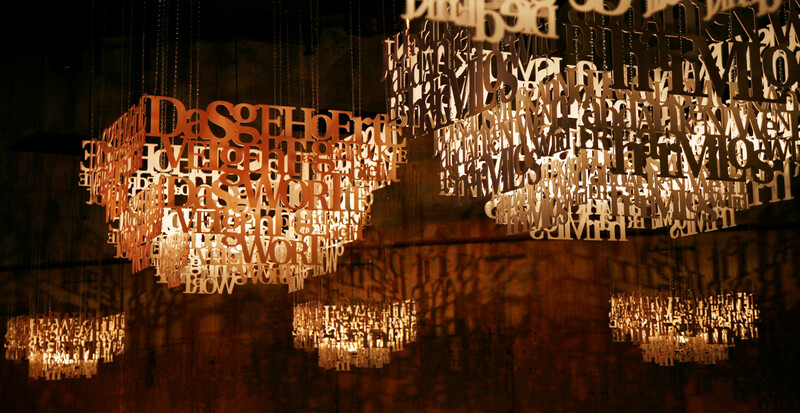 Each letter was almost 2 m in size with a depth of 90 cm and made up of 107 hand glued layers of 7mm corrugated cardboard. 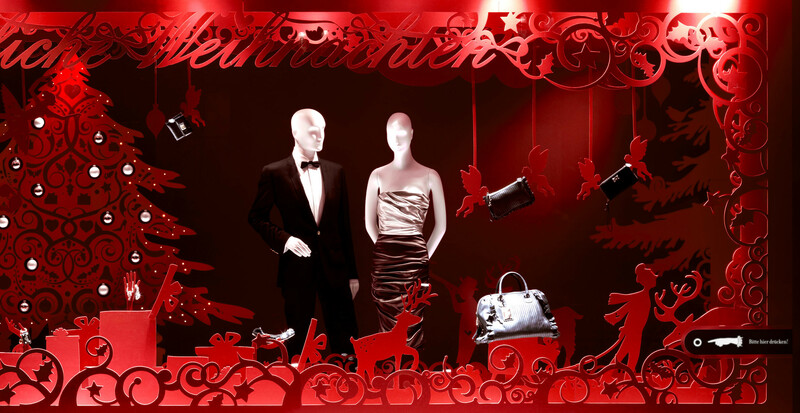 The graphics resulted from a collaboration with the guys from 2erpack and Pia Kuhlemann. 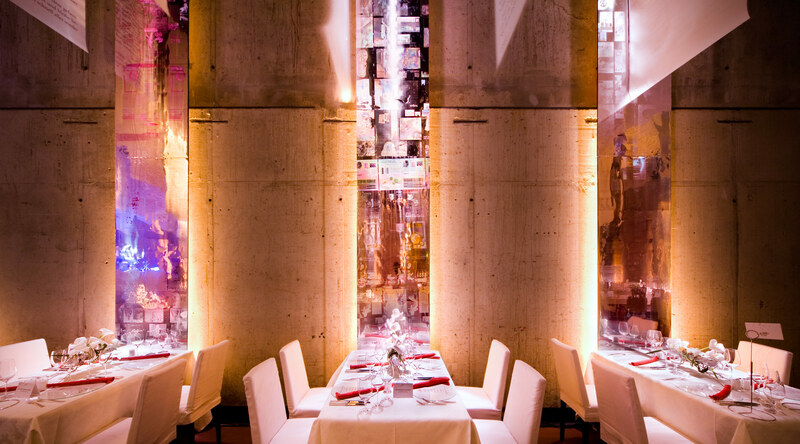 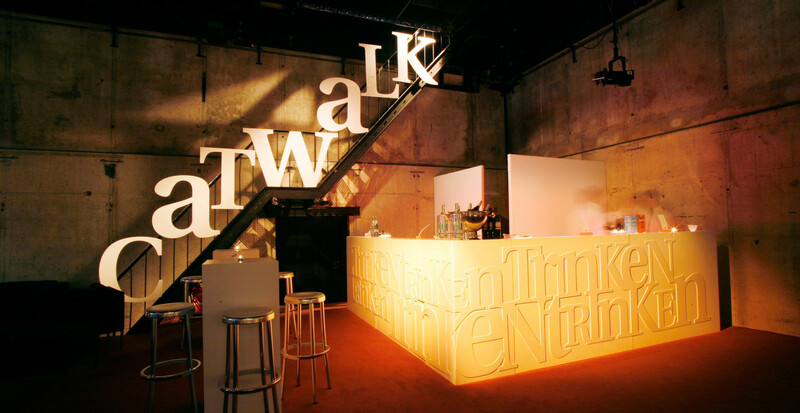 They completed this project in only 3 months, and built 7 letters with Urs Ulbrich and his team within a month. 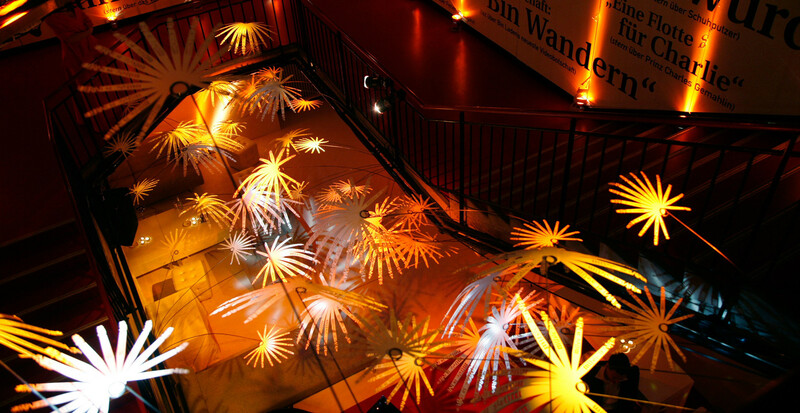 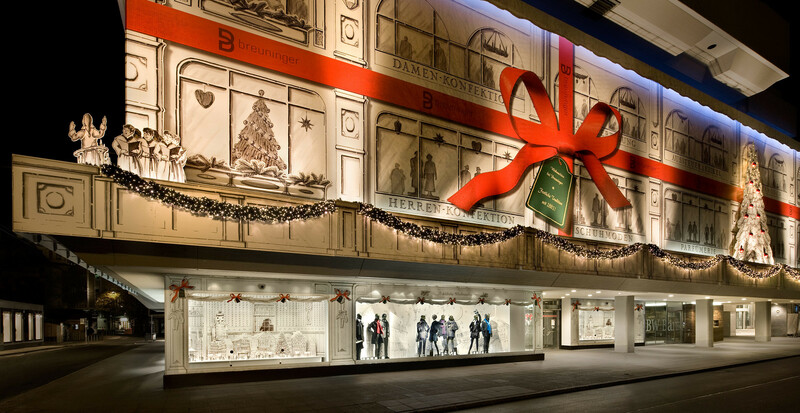 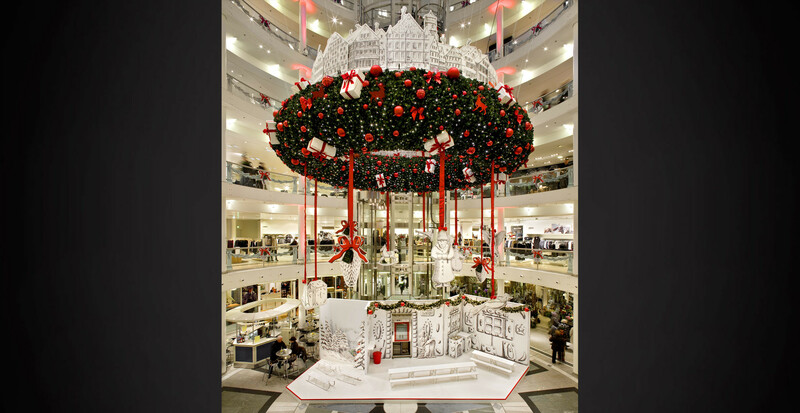 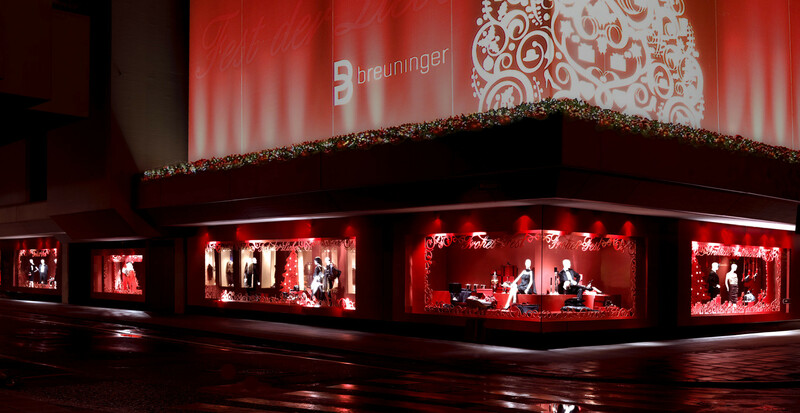 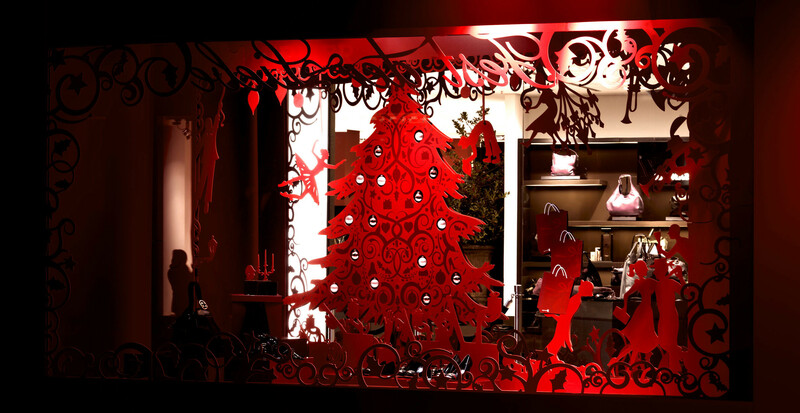 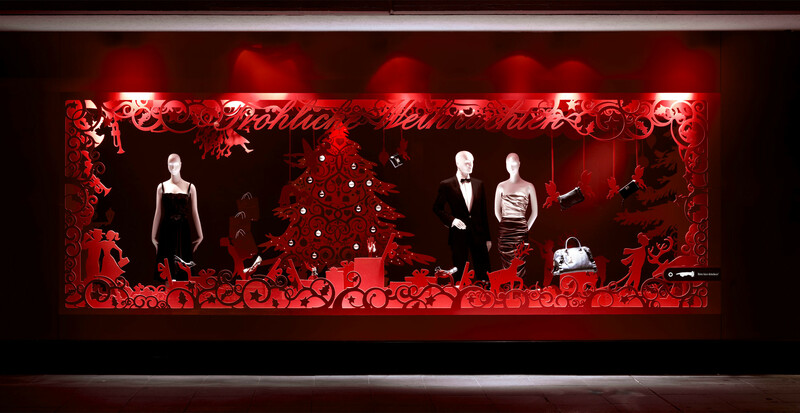 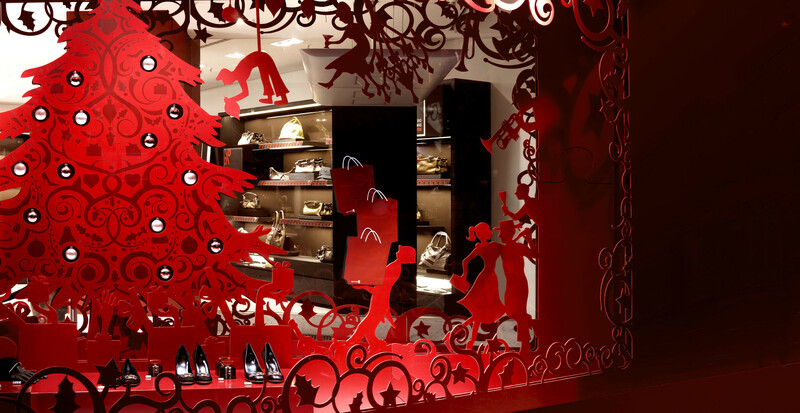 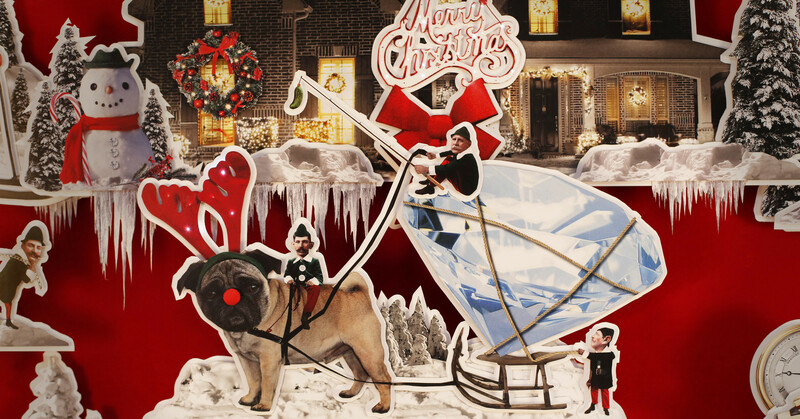 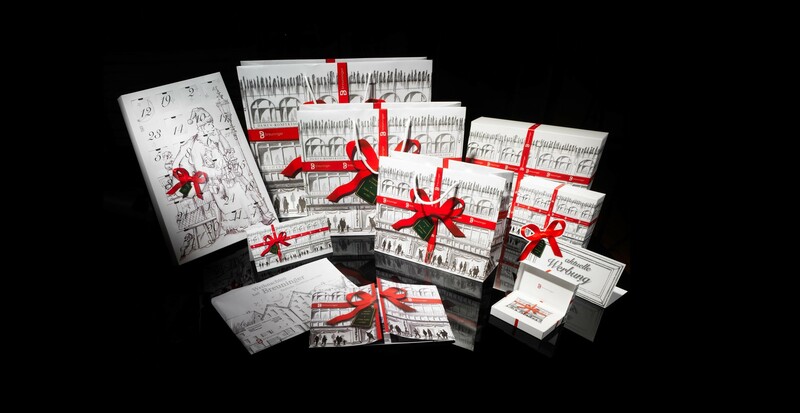 The department store of Breuninger was that satisfied with Tim John´s Christmas decorations in the year 2009 that they placed an order in March 2010 to develop a concept for the entire Christmas appearance for all Breuniger stores. 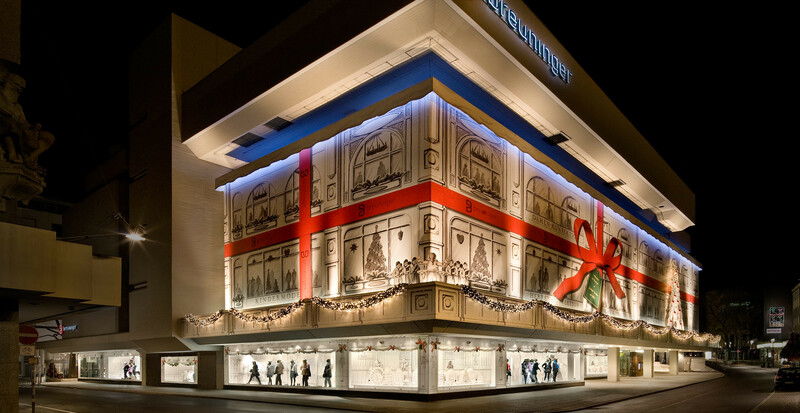 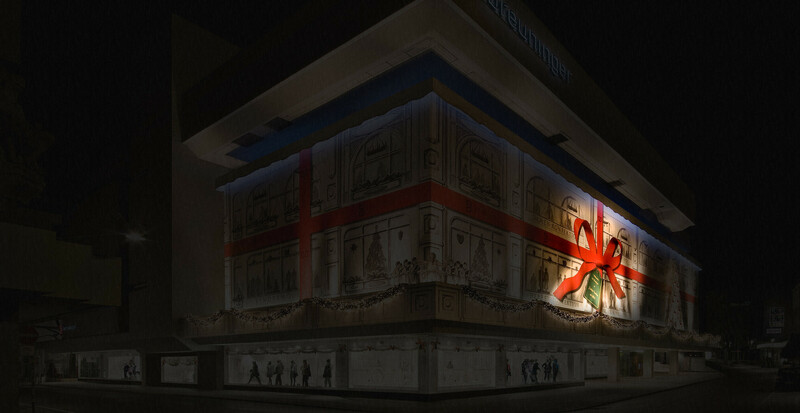 Starting with the facade design of the flagship store covering further 100 shop windows belonging to other Breuninger stores, including in store decorations in 10 department stores going as far as shopping bags, Christmas calendars and gift wrapping. 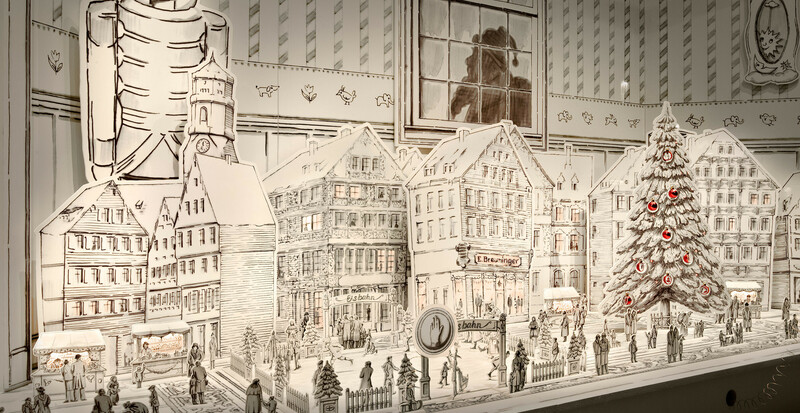 Over a period of 9 months Detlef John, did over 1000 drawings. 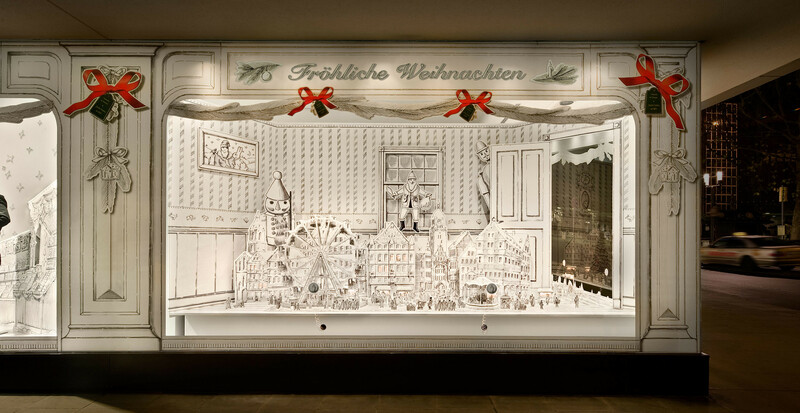 One of the highlights this year is a life size mechanically animated boys’ choir on the balcony of the department store, singing Christmas carols on the hour, an eight meter large Advent wreath, as well as 2 interactive children’ shop windows showing many small animated figures and objects. 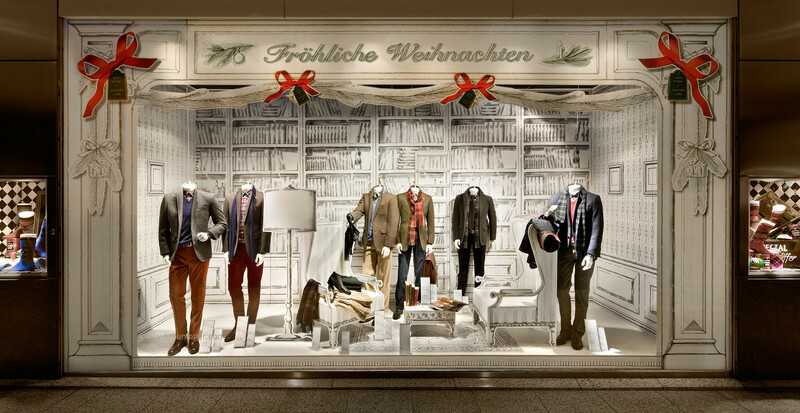 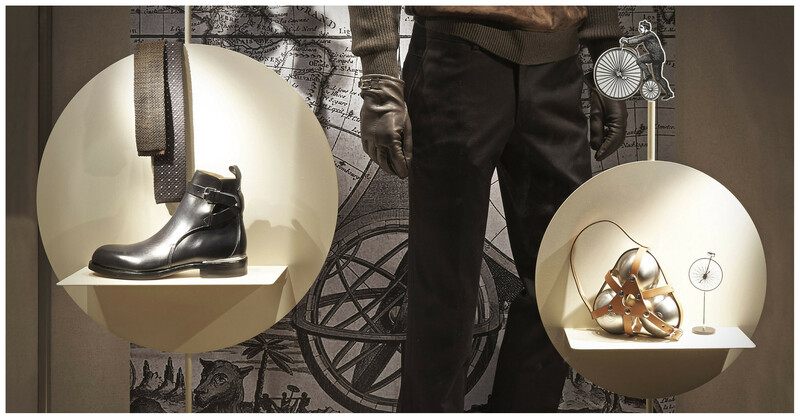 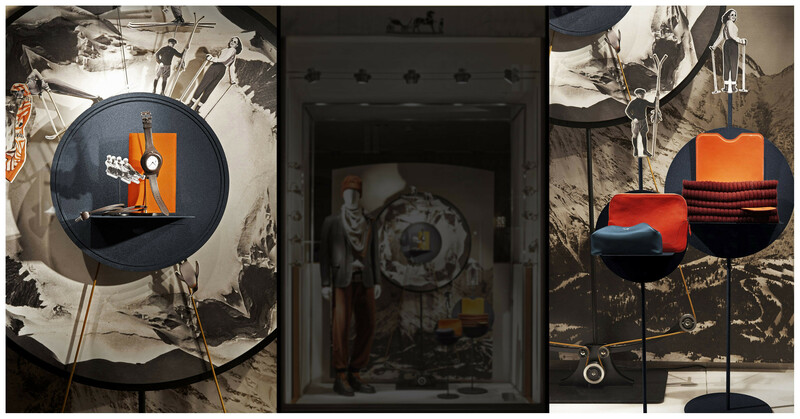 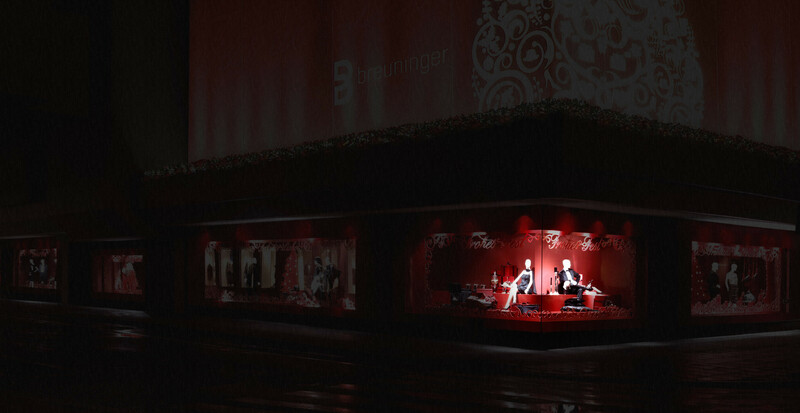 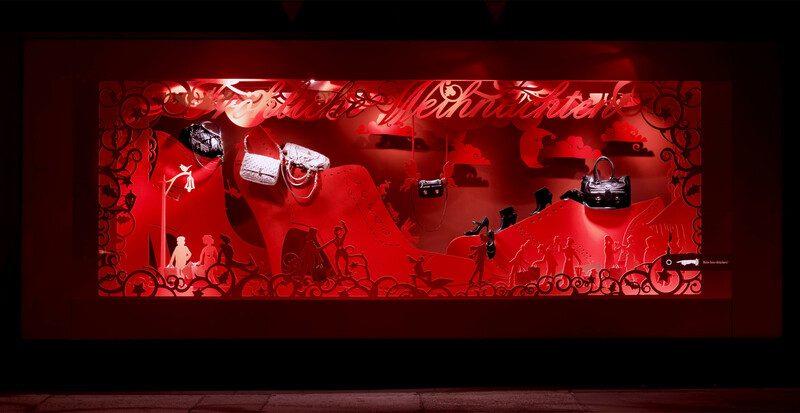 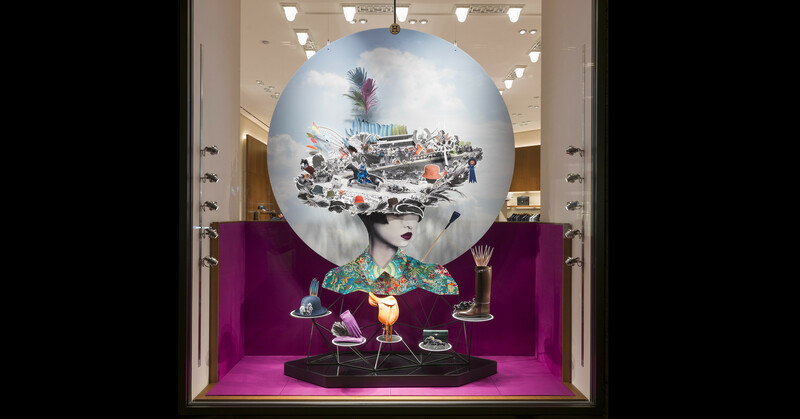 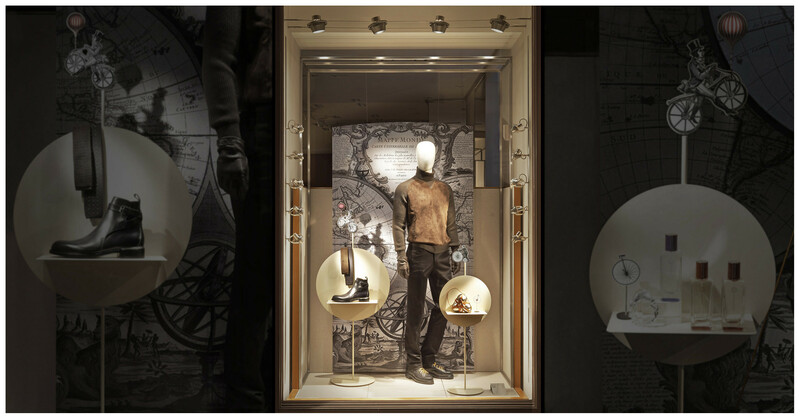 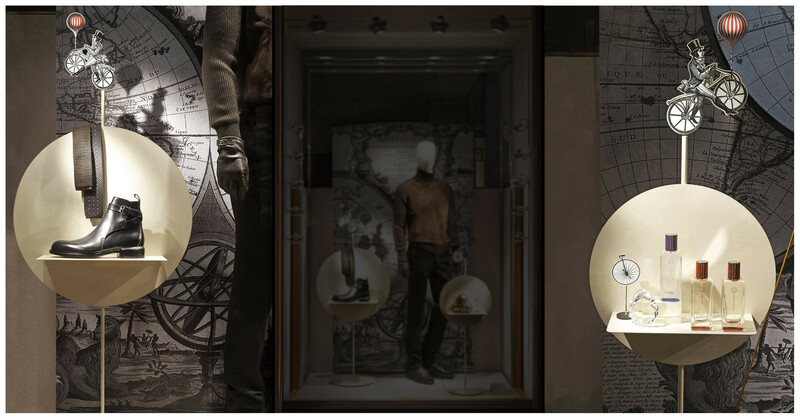 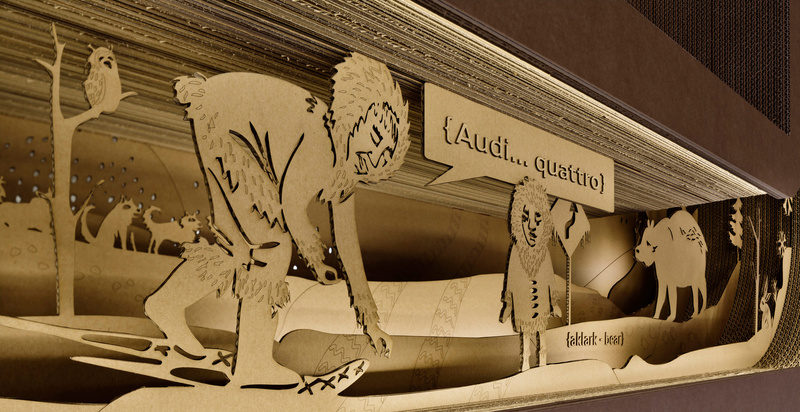 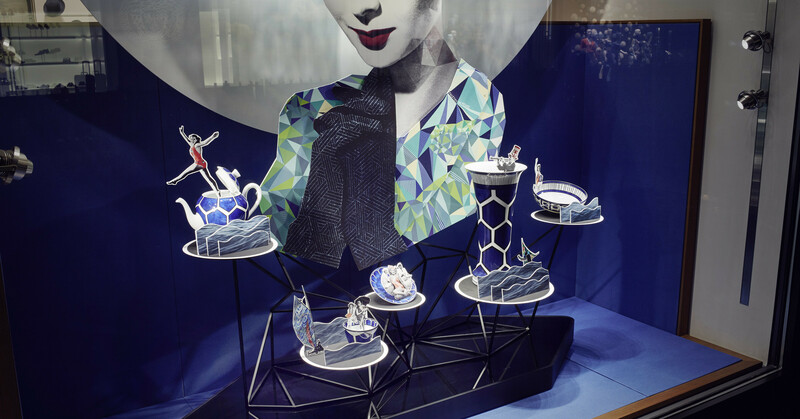 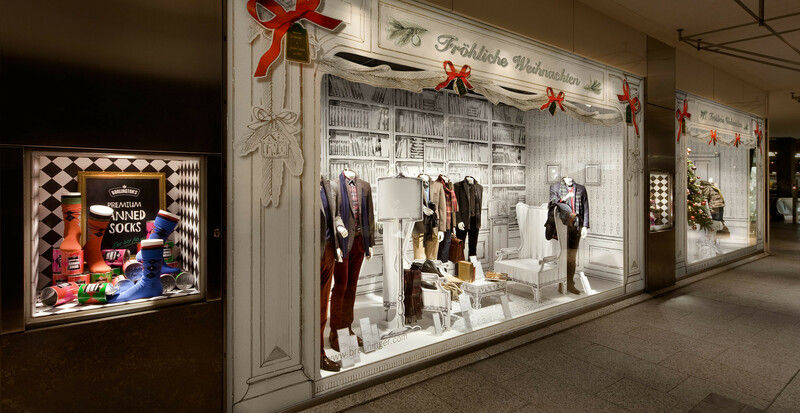 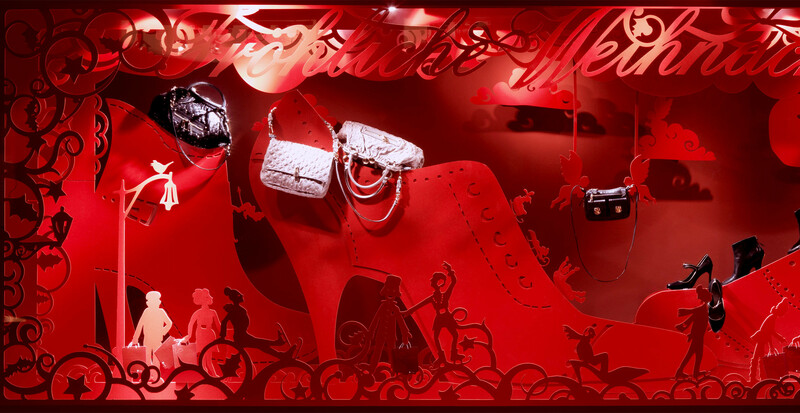 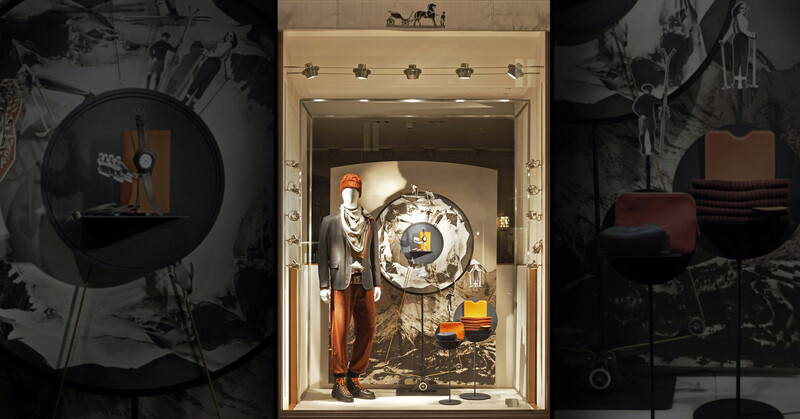 For the Breuninger flagship store, one of the largest privately run chain stores, Tim John designed interactive, motion-adaptive Christmas shop window displays in cooperation with Pia Kuhlemann (graphic design) and Markus der Seriis (mechatronics). 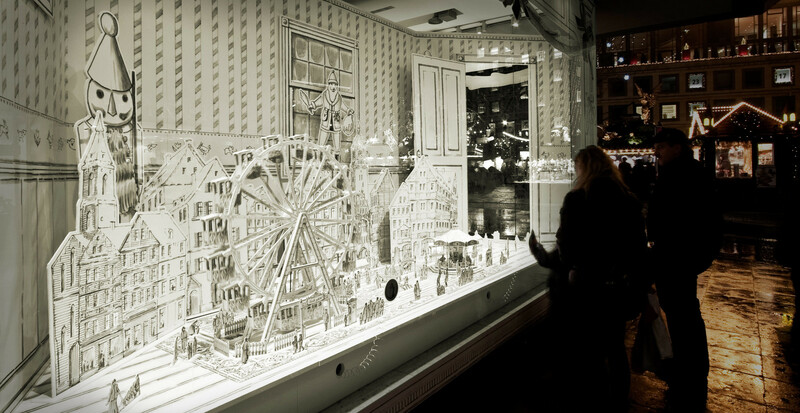 The children windows could be set into motion with the help of a crank. 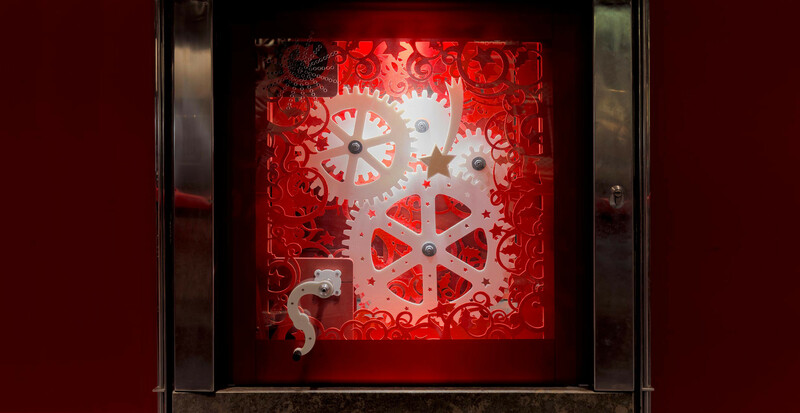 Winding of the crank influenced the direction and the speed at which to turn, thus creating various actions and sounds in the shop window. 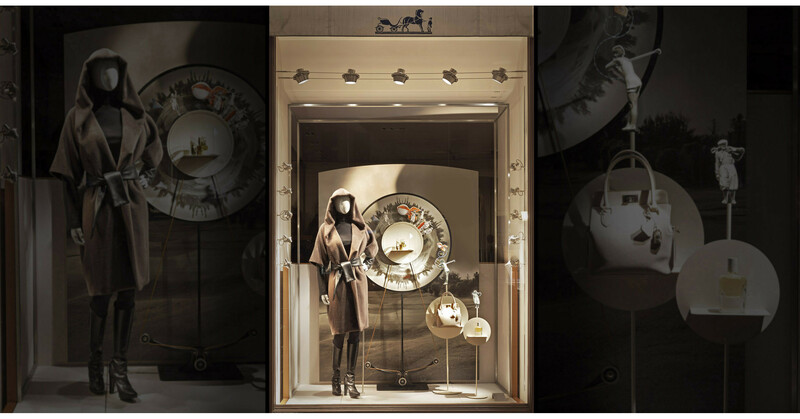 The faster the viewer turned the handle, the faster was the tune and the movements in the shop window. 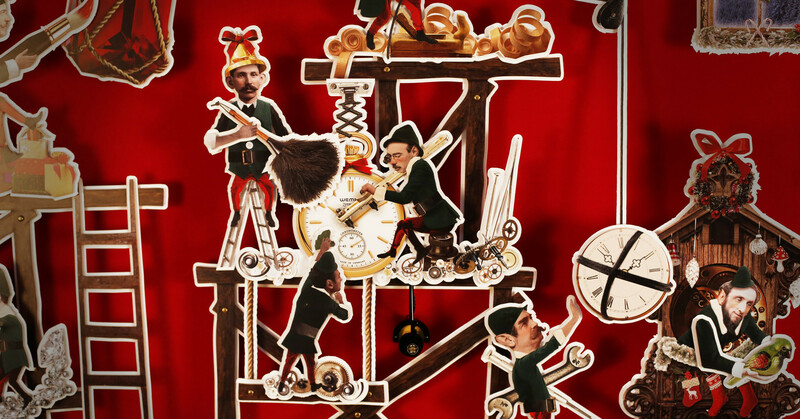 It required a lot of skill to keep the tune at the right pace. 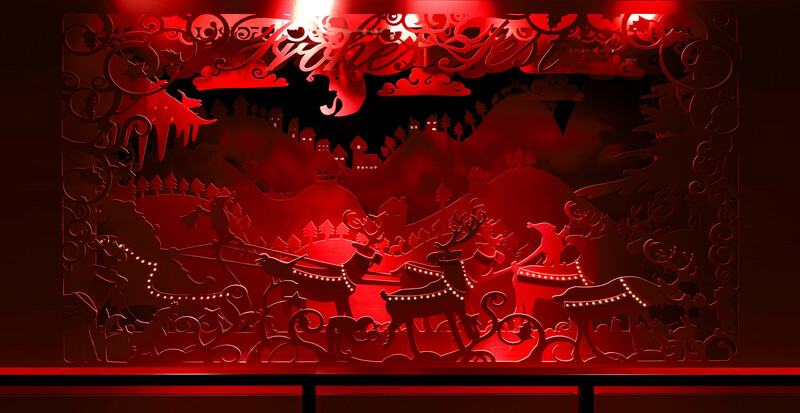 Other windows were operated via a touch sensor thus getting a small choreography going. 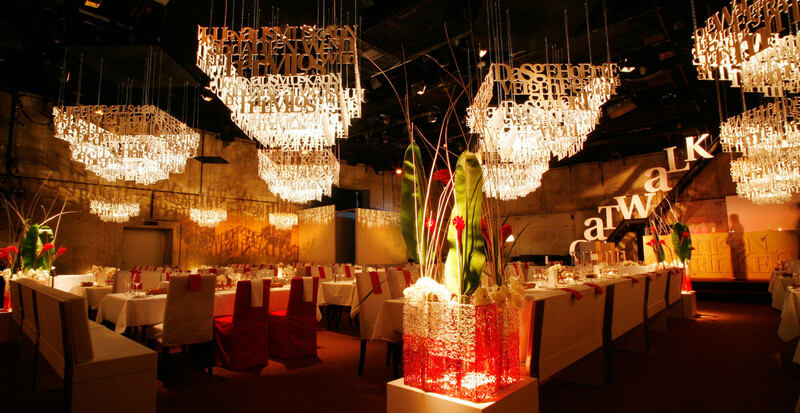 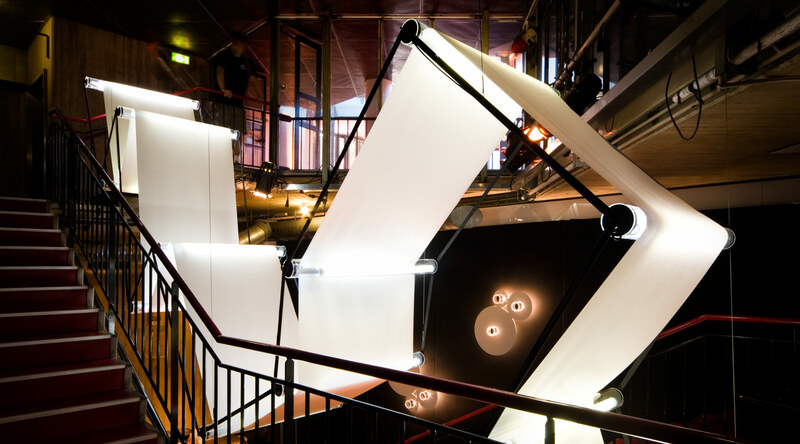 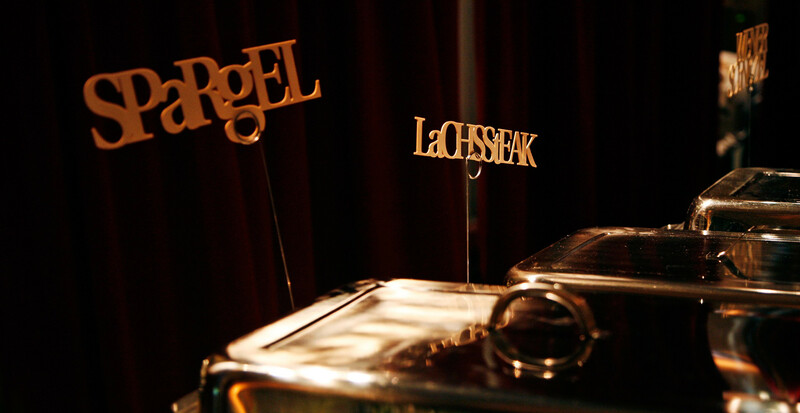 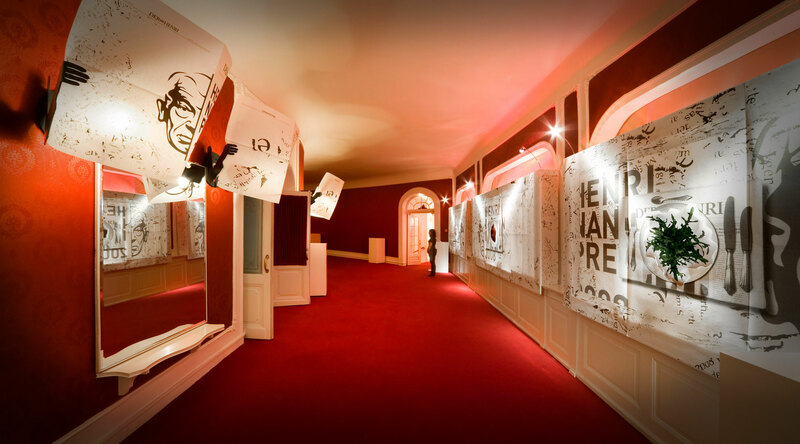 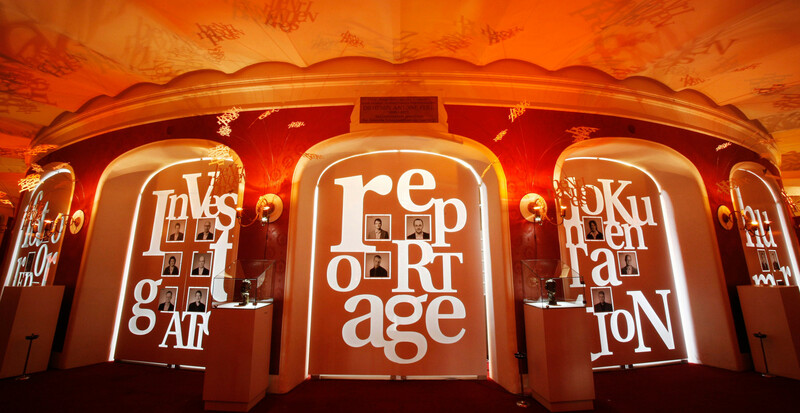 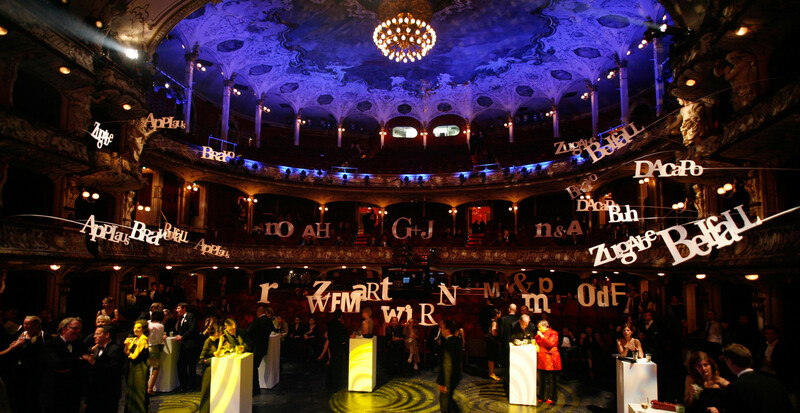 The event agency Eventlabs assigned Tim John with the task of developing parts of the entire set and location design for the renowned Henri Nannen Award show, which is held annually at the Deutsches Schauspielhaus (German National Theatre) in Hamburg and honours outstanding journalistic achievements. 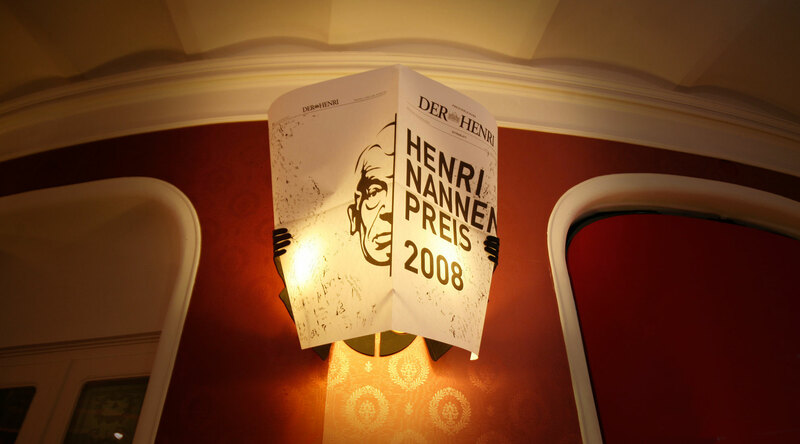 The result: a most playful blend and application of newspapers in black and white. 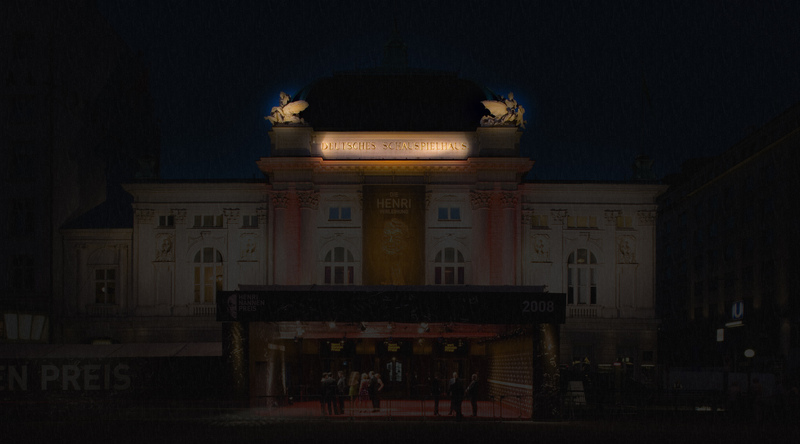 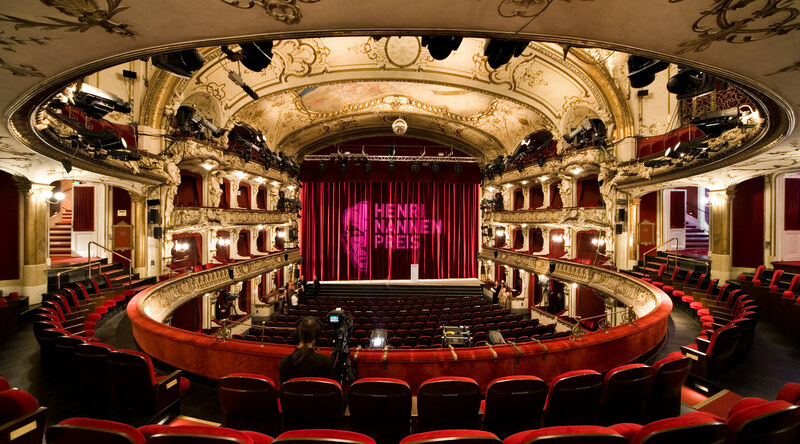 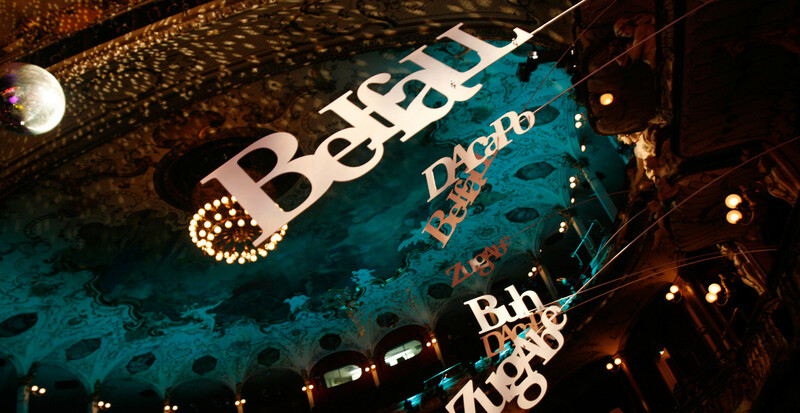 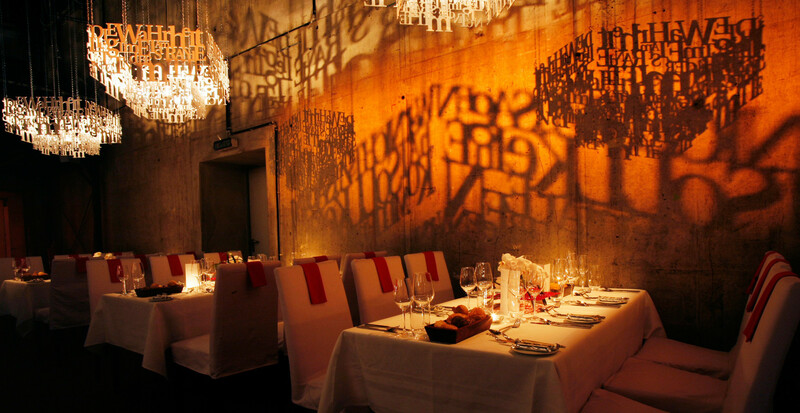 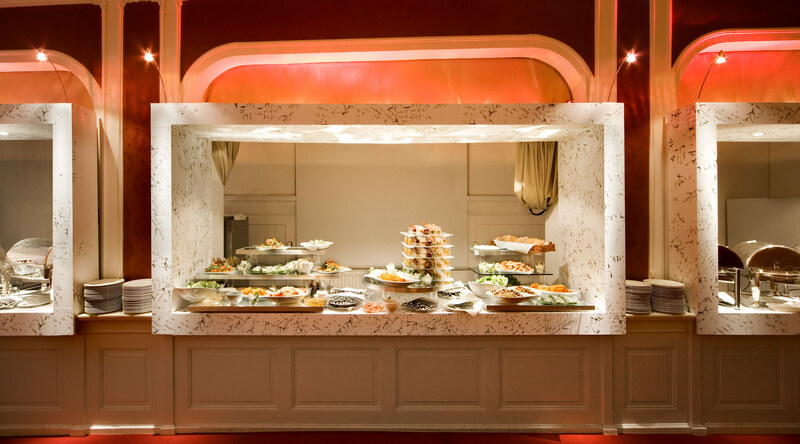 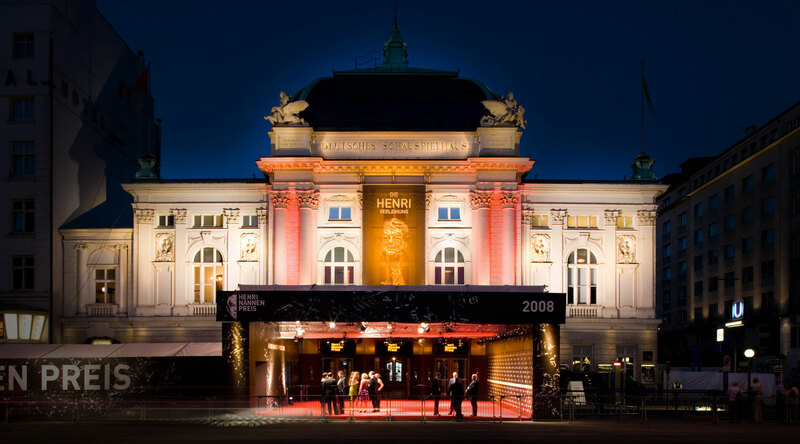 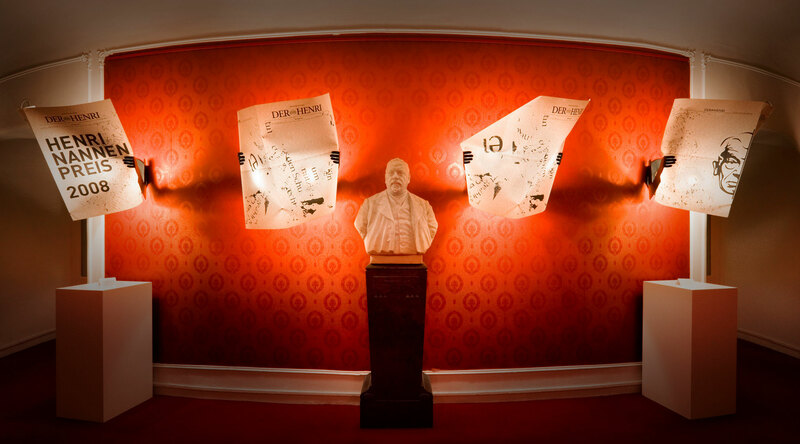 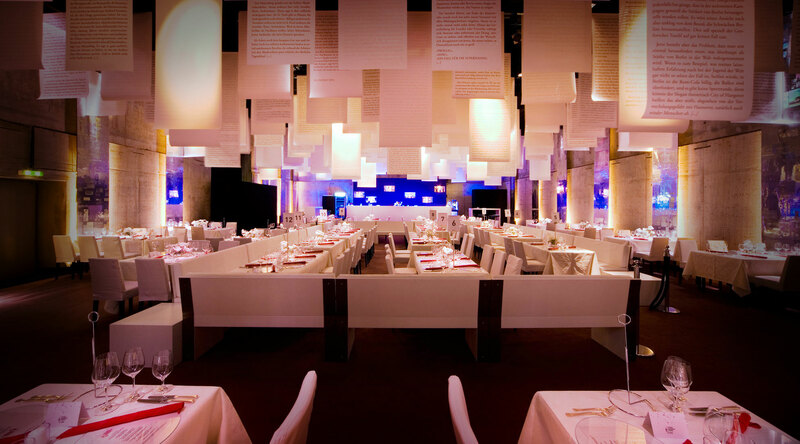 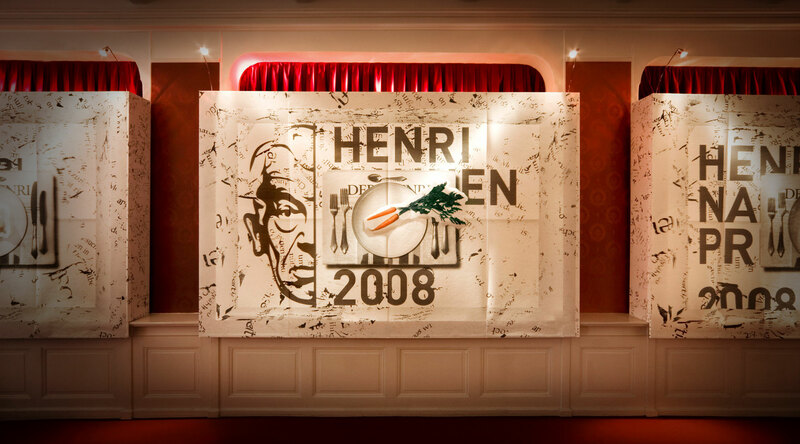 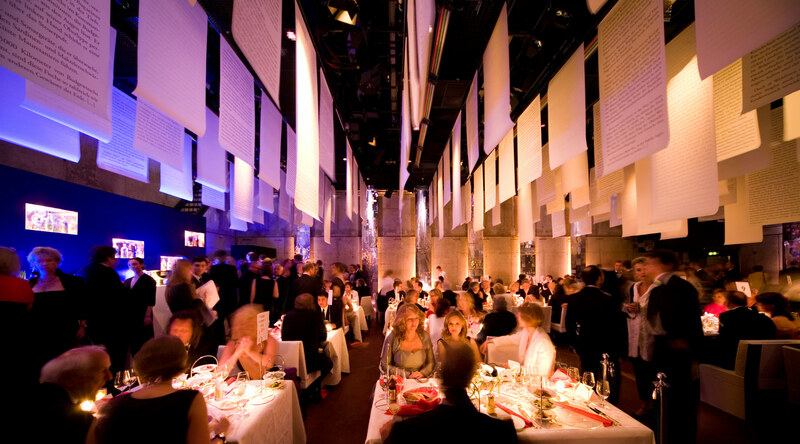 The event agency Eventlabs assigned Tim John with the task of developing the entire set and location design for the renowned Henri Nannen Award show, which is held annually at the Deutsches Schauspielhaus (German National Theatre) in Hamburg and honours outstanding journalistic achievements. 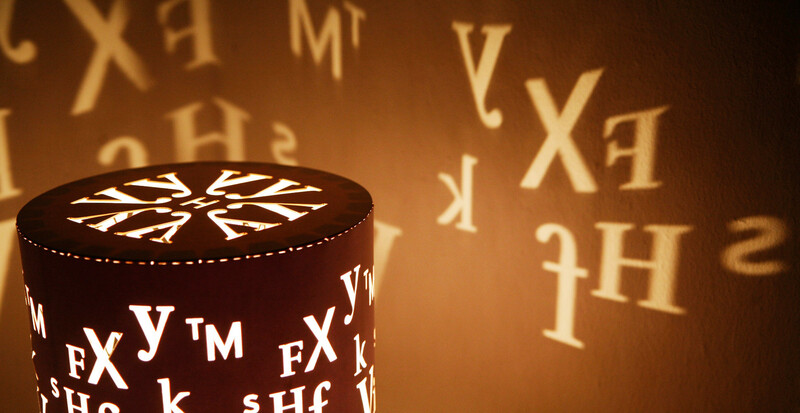 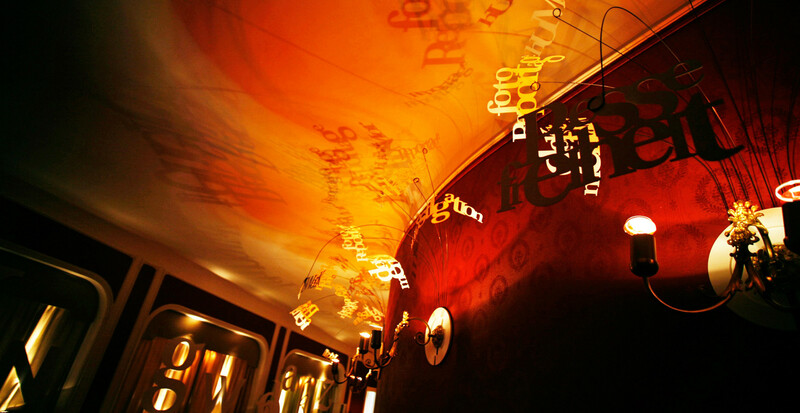 The result: a most playful blend and application of text and ambience, light and shade. 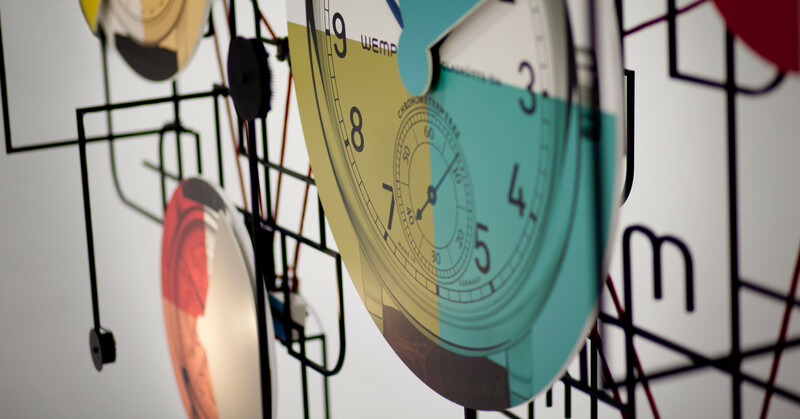 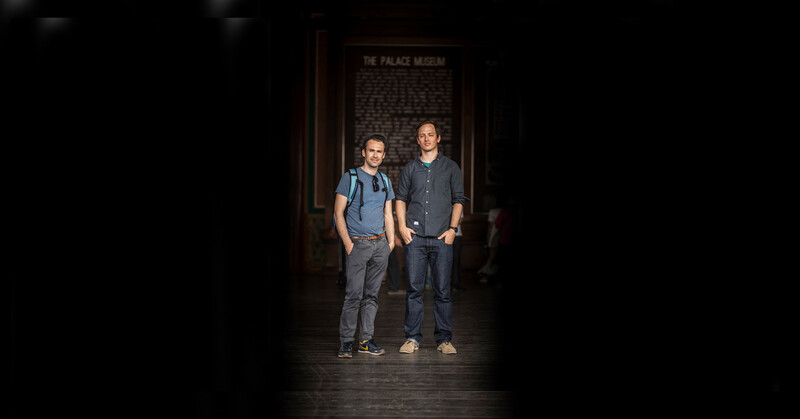 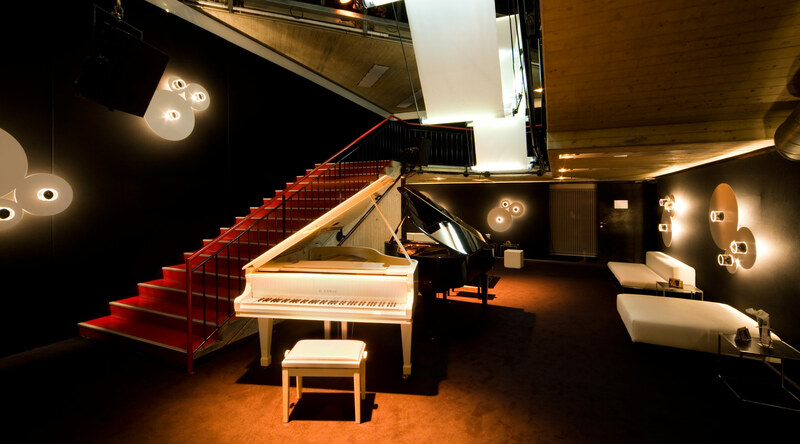 In his studio for scenography Tim John together with Martin Schmitz creates spaces and places of a special kind. 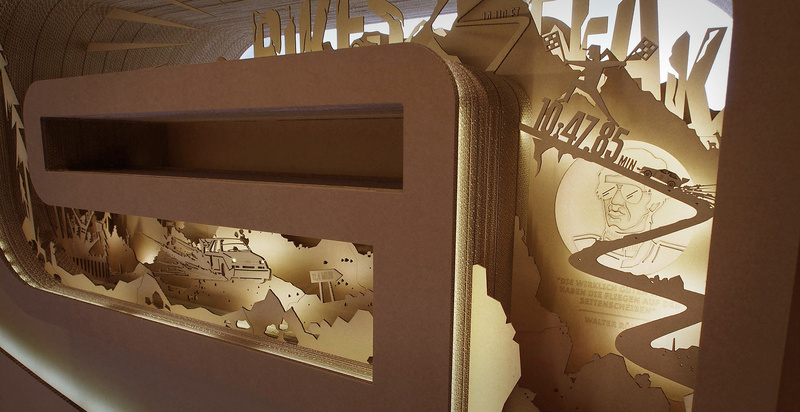 Together with designers, graphic designers, illustrators and mechatronics engineers ideas come to life. 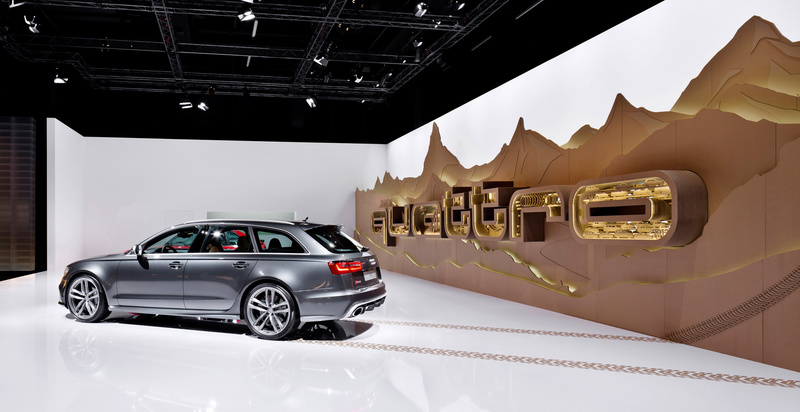 Places and spaces in the best of hands.